Cole PA. Complications in Orthopaedic Trauma Webinar: Clavicle Fractures, VuMedi, July 2013. Cole PA, Gardener, M., Stewart, R. Synthes Advanced Surgical Approach Video Series: Shoulder Girdle Module – Round Table Discussion, April 2010. Cole, PA. Current Perspectives on Scapula Fractures. In: Synthes Advanced Surgical Approaches to the Shoulder Girdle. Cole, PA. How to Video: Approach to the Clavicle. In: Synthes Advanced Surgical Approaches to the Shoulder Girdle. Cole, PA. How to Video: Approach to the Sternoclavicular joint. In: Synthes Advanced Surgical Approaches to the Shoulder Girdle. Cole, PA. How to Video: Approach to the Acromioclavicular joint. In: Synthes Advanced Surgical Approaches to the Shoulder Girdle. Cole, PA. How to Video: Approach to the Coracoid. In: Synthes Advanced Surgical Approaches to the Shoulder Girdle. Cole, PA. How to Video: Approach to the Acromion. In: Synthes Advanced Surgical Approaches to the Shoulder Girdle. Cole, PA. How to Video: Judet Approach to the Scapula. In: Synthes Advanced Surgical Approaches to the Shoulder Girdle. Cole, PA. How to Video: Approach to the Acromion Spine. In: Synthes Advanced Surgical Approaches to the Shoulder Girdle. Cole, PA. How to Video: Extensile Judet Approach to the Posterior Scapula. In: Synthes Advanced Surgical Approaches to the Shoulder Girdle. Cole, PA. How to Video: Posterior Approach to the Glenohumoral. In: Synthes Advanced Surgical Approaches to the Shoulder Girdle. Cole, PA. How to Video: Posterior Approach to the Lateral Border and Glenoid. In: Synthes Advanced Surgical Approaches to the Shoulder Girdle. Cole, PA. How to Video: Minimally invasive approach to the posterior scapula: Glenoid and Scapula Neck. In: Synthes Advanced Surgical Approaches to the Shoulder Girdle. Cole, PA. How to Video: Minimally invasive approach to the posterior scapula: Scapular Spine and Vertebral Angle. In: Synthes Advanced Surgical Approaches to the Shoulder Girdle. Cole, PA: How-to Video: Posterior Surgical Approaches to the Glenohumeral Joint, AAOS Annual Meeting – ASES Specialty Day DVD. February 2009. Cole, P.A. Cole PA, Dyskin E, Gilberston JA. Minimally Invasive Fixaton for Anterior Pelvic Ring Disruptions. Injury Supplment. July 2015. Cole PA Jr, Jacobson AR, Cole PA Sr. Open Reduction and Internal Fixation of Scapula Fractures in a Geriatric Series. Geriatr Orthop Surg Rehabil. 2015;6(3):180-185. doi:10.1177/2151458515584049. Cole PA, Jamil M, Jacobson AR, Hill BW. “The Skiver Screw” A Useful Fixation Technique for Iliac Wing Fractures. J Orthop Trauma. 2015;29(7):e231-234. Mulawka B, Jacobson AR, Schroder LK, Cole PA. Triple and Quadruple Disruptions of the Superior Shoulder Suspensory Complex J Orthop Trauma. 2015 Jun;29(6):264-70. Oâ€™Connor TJ, Mueller B, Ly TV, Jacobson AR, Nelson ER, Cole PA. â€œA to Pâ€ Screw vs Posterolateral Plate for Posterior Malleolus Fixation in Trimalleolar Ankle Fractures. J. Orthop. Trauma 2015 Apr;29(4):e151-6. doi:10.1097/BOT.0000000000000230. Li M, Cole PA. Anatomical considerations in adult femoral neck fractures: How anatomy influences the treatment issues? Injury. 2015;46(2014):453-458. Zlowodzki M, Wijdicks CA, Armitage BM, Cole PA. The value of washers in internal fixation of femoral neck fractures with cancellous screws: A biomechanical evaluation. J Orthop Trauma. 2015 Feb;29(2):e69-72. Oâ€™Connor TJ, Cole PA. Pelvic Insufficiency Fractures. Geriatr Orthop Surg Rehabil. 2014;5(4):178-190. Salassa TE, Hill BW, Cole PA. Quantitative comparison of exposure for the posterior Judet approach to the scapula with and without deltoid takedown. J. Shoulder Elbow Surg. 2014;23(11):1747-52. Solfelt DA, Hill BW, Anderson CP, Cole PA. Supracondylar osteotomy for the treatment of cubitus varus in children: a systematic review. Bone Joint J. 2014;96-B:691-700. Hill BW, Jacobson AR, Anavian J, Cole PA. Surgical management of coracoid fractures: technical tricks and clinical experience. J Orthop Trauma. 2014;28:e114-22. Cole PA. Evidence-Based Orthopaedics Commentary: Open Reduction and Plate Fixation Reduced Nonunion After Displaced Midshaft Clavicular Fracture. J Bone Joint Surg Am, 96-A(16), 1397. Link B, Apivatthakakul T, Hill BW, Cole PA, Babst R. Minimally Invasive Plate Osteosynthesis (MIPO) of Periprosthetic Femoral Fractures with Percutaneous Cerclage Wiring for Fracture Reduction: Tips and Technique. JBJS Essential Surgical Techniques. 2014;4:e13. Cole PA. How would you treat a 14-year-old football player with closed fracture of the right tibia? Orthop. Blogs – Ask Expert. 2014. Available at: http://www.healio.com/orthopedics/blogs/ask-the-experts/how-would-you-treat-a-14yearold-football-player-with-closed-fracture-of-the-right-tibia?nc=1. Accessed September 18, 2014. Aderibigbe K, Fletcher JW, Barta RJ, Hill BW, Cole PA. Staged Calcaneus Osteocutaneous Filet Flap for Salvage of Transtibial Amputation. Foot Ankle Int 2014 Jan; 35: 71-79. Zielinski SM, Bouwmans CA, Heetveld MJ, Bhandari M, Patka P, Van Lieshout EM; FAITH trial investigators (Regions Hospital Investigators – Switzer JA, Li M, Marston SB, Cole PA, Vang S, Ly TV, Anderson SA). The societal costs of femoral neck fracture patients treated with internal fixation. Osteoporos Int. 2014 Mar;25(3):875-85. Mathew G, Kowalczuk M, Hetaimish B, Bedi A, Philippon MJ, Bhandari M, Simunovic N, Crouch S, Ayeni OR; FAITH Investigators (Regions Hospital Investigators – Switzer JA, Li M, Marston SB, Cole PA, Vang S, Ly TV, Anderson SA). Radiographic prevalence of CAM-type femoroacetabular impingement after open reduction and internal fixation of femoral neck fractures. Knee Surg Sports Traumatol Arthrosc. 2014 Apr;22(4):793-800. FAITH Investigators (Regions Hospital Investigators – Switzer JA, Li M, Marston SB, Cole PA, Vang S, Ly TV, Anderson SA). Fixation using alternative implants for the treatment of hip fractures (FAITH): design and rationale for a multi-centre randomized trial comparing sliding hip screws and cancellous screws on revision surgery rates and quality of life in the treatment of femoral neck fractures. BMC Musculoskelet Disord. 2014 Jun 26;15:219. Cole PA, Freeman G, Dubin J. Scapula Fractures. Current Reviews in Musculoskeletal Medicine 2013;6(1):79-87. Cole PA, Dubin JR, Freeman G. Operative Techniques In the Management of Scapular Fractures. Orthop Clin North Am 2013;44:331-343. Cole PA, Mehrle RK, Bhandari M, Zlowodzki M. The Pilon Map: Fracture Lines and Comminution Zones in OTA/AO Type 43C3 Pilon Fractures. J Orthop Trauma . 2013;27:e152-6. SPRINT Investigators (Regions Hospital Investigators – Switzer JA, Li M, Marston S, Cole P, Vang S, Ly T, Anderson S), Bhandari M, Tornetta P 3rd, Rampersad SA, Sprague S, Heels-Ansdell D, Sanders DW, Schemitsch EH, Swiontkowski M, Walter S. (Sample) size matters! An examination of sample size from the SPRINT trial study to prospectively evaluate reamed intramedullary nails in patients with tibial fractures. J Orthop Trauma. 2013 Apr;27(4):183-8. Gauger EM, Ludewig PM, Wijdicks CA, Cole PA. Pre- and postoperative function after scapula malunion reconstruction: a novel kinematic technique. J Orthop Trauma. 2013;27:e186-91. Lafferty PM, Hill BW, Cole PA. Ulnar avascular necrosis? You be the judge. Injury Extra. 2013;44:15-18. Wijdicks CA, Anavian J, Ly TV, Spiridonov SI, Craig MR, Cole PA. Surgical management of a midshaft clavicle fracture with ipsilateral acromioclavicular dislocation: A report on 2 cases and review of the literature. Injury Extra. 2013;44:9-12. Pre and Post Operative Function after Scapula Malunion Reconstruction: A Novel Kinematic Technique. Benirschke SK, Meinberg E, Anderson SA, Jones CB, Cole PA. Fractures and dislocations of the midfoot: lisfranc and chopart injuries. J Bone Joint Surg Am 2012 Jul;94(14):1325-37. Zielinski SM. (UMN-Regions Hospital FAITH Trial Investigators: Switzer JA, Li M, Marston SB, Cole PA) Central coordination as an alternative for local coordination in a multicenter randomized controlled trial: the FAITH trial experience. Trials. 2012;13:5. Hill BW, Switzer JA, Cole PA. Management of High-Energy Acetabular Fractures in the Elderly Individuals: A Current Review. Geriatric Orthopaedic Surgery & Rehabilitation. 2012;3:95-106. Li M, Luettringhaus T, Walker KR, Cole PA. Operative treatment of femoral neck osteochondroma through a digastric approach in a pediatric patient: a case report and review of the literature. J Pediatr Orthop B 2012 May;21(3):230-4. Cole PA, Gauger EM, Anavian J, Ly TV, Morgan RA, Heddings AA. Anterior pelvic external fixator versus subcutaneous internal fixator in the treatment of anterior ring pelvic fractures. J Orthop Trauma 2012 May;26(5):269-77. Moazzam C, Heddings AA, Moodie P, Cole PA. Anterior pelvic subcutaneous internal fixator application: an anatomic study. J Orthop Trauma 2012 May;26(5):263-8. Anavian J, Gauger EM, Schroder LK, Wijdicks CA, Cole PA. Surgical and functional outcomes after operative management of complex and displaced intra-articular glenoid fractures. J Bone Joint Surg Am 2012 Apr;94(7):645-53. Cole PA, Gauger EM, Herrera DA, Anavian J, Tarkin IS. Radiographic follow-up of 84 operatively treated scapula neck and body fractures. Injury 2012 3;43(3):327-33. Radiographic follow-up of 84 operatively treated scapula neck and body fractures. Surgical and functional outcomes after operative management of complex and displaced intra-articular glenoid fractures. Anavian J, Gauger EM, Schroder LK, Wijdicks CA, Cole PA.Surgical and functional outcomes after operative management of complex and displaced intra-articular glenoid fractures.Journal of Bone & Joint Surgery – American Volume. 2012;94(7):645-653. Invited commentary: understanding the concept of medialization in scapula fractures. Gauger EM, Cole PA. Surgical technique: a minimally invasive approach to scapula neck and body fractures. Clin Orthop Relat Res 2011 Dec;469(12):3390-9. Will RE, Fleming ME, Lafferty PM, Fletcher JW, Cole PA. Low complication rate associated with raising mature flap for tibial nonunion reconstruction. J Trauma 2011 Dec;71(6):1709-14. Zelle BA, Cole PA. Open Reduction and Internal Fixation of Complex Geriatric Acetabular Fracture. Operative Techniques in Orthopaedics 2011 12;21(4):286-92. Cole PA, Talbot M, Schroder LK, Anavian J. Extra-articular malunions of the scapula: a comparison of functional outcome before and after reconstruction. J Orthop Trauma 2011 Nov;25(11):649-56. Hiesterman TG, Shafiq BX, Cole PA. Intramedullary nailing of extra-articular proximal tibia fractures. J Am Acad Orthop Surg 2011 Nov;19(11):690-700. Glass ER, Thompson JD, Cole PA, Gause TM, 2nd, Altman GT. Treatment of sternoclavicular joint dislocations: a systematic review of 251 dislocations in 24 case series. J Trauma 2011 May;70(5):1294-8. Plocher EK, Anavian J, Vang S, Cole PA. Progressive displacement of clavicular fractures in the early postinjury period. J Trauma 2011 May;70(5):1263-7. Lafferty PM, Anavian J, Will RE, Cole PA. Operative treatment of chest wall injuries: indications, technique and outcomes. J Bone Joint Surg Am 2011 Jan;93(1):97-110. A reliable radiographic measurement technique for extra-articular scapular fractures. Surgical technique: a minimally invasive approach to scapula neck and body fractures. Treatment of sternoclavicular joint dislocations: a systematic review of 251 dislocations in 24 case series. Progressive displacement of clavicular fractures in the early postinjury period. Operative treatment of chest wall injuries: indications, technique, and outcomes. Progressive displacement of scapula fractures. Sems SA, Johnson M, Cole PA, Byrd CT, Templeman DC, and the Minnesota Orthopaedic Trauma Group. Elevated body mass index increases complications of surgical treatment of pelvic ring injuries. J Orthop Trauma 2010 May;24(5); 309-14. Surgical management of multiple painful rib nonunions in patient with a history of severe shoulder girdle trauma: a case report and literature review. Mapping of scapular fractures with three-dimensional computed tomography. Anavian J, Guthrie ST, Cole PA. Surgical management of multiple painful rib nonunions in patient with history of severe shoulder girdle trauma: a case report and review of literature. J Orthop Trauma 2009 Sep;23(8):600-4. Vulnerable neurovasculature with a posterior approach to the scapula. Surgery for scapula process fractures: good outcome in 26 patients. Delayed operative management of fractures of the scapula. 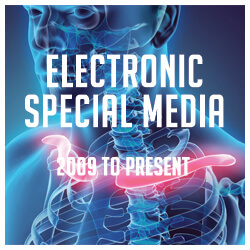 Marek DJ, Sechriest VF,2nd, Swiontkowski MF, Cole PA. Case report: reconstruction of a recalcitrant scapular neck nonunion and literature review. Clin Orthop Relat Res 2009 May;467(5):1370-6. Cole PA, Miclau T, Ly TV, Switzer JA, Li M, Morgan RA, Bhandari M. Whatâ€™s new in orthopaedic trauma. J Bone Joint Surg Am 2008 Dec;90(12): 2804-22. Levy BA, Herrera DA, Templeman D, Cole PA. Segmental proximal humerus fractures: A case report of submuscular plating. J Trauma. 2008 Dec;65(6): 1554-1557. Redmond JM, Levy BA, Dajani KA, Cass JR, Cole PA. Detecting vascular injury in lower extremity orthopaedic trauma: the role of CT angiography. Orthopedics 2008 Aug;31(8):761-767. Levy BA, Herrera DA, MacDonald P, Cole PA. The medial approach for arthroscopic-assisted fixation of lateral tibial plateau fractures: patient selection and mid- to long-term results. J Orthop Trauma 2008 Mar;22(3): 201-5. Herrera DA, Kregor PJ, Cole PA, Levy BA, JÃ¶nsson A, Zlowodzki M. Treatment of acute distal femur fractures above a total knee arthroplasty: systematic review of 415 cases (1981-2006). Acta Orthop 2008 Feb;79(1): 22-7. Talbot M, Zdero R, Garneau D, Cole PA, Schemitsch EH. Fixation of long bone segmental defects: a biomechanical study. Injury 2008 Feb;39(2): 181-6. The operative treatment of diaphyseal humeral shaft fractures. Cole PA, Miclau T, Bhandari M. Whatâ€™s new in orthopaedic trauma. J Bone Joint Surg Am 2007 Nov;89(11):2560-77. Zlowodzki M, Vogt D, Cole PA, Kregor PJ. Plating of femoral shaft fractures: open reduction and internal fixation versus submuscular fixation. J Trauma 2007 Nov;63(5):1061-5. Cole PA. Open tibia fracture: amputation versus limb salvage. OPINION: limb salvage. J Orthop Trauma 2007 Jan;21(1):68-9. Cole PA, Bhandari M. Whatâ€™s new in orthopaedic trauma. J Bone Joint Surg Am 2006 Nov;88(11):2545-61. Cole PA, Bhandari M. Drs. Cole and Bhandari respond to Drs. Sarmiento and Latta. (Response to Letter to the Editor related to Cole, Bhandari: Whatâ€™s New in Orthopaedic Trauma, JBJS, December, 2005.) Published on Journal of Bone and Joint Surgery website: www.ejbjs.org. Jan 2006. Levy BA, Vogt KJ, Herrera DA, Cole PA. Maisonneuve fracture equivalent with proximal tibiofibular dislocation. A case report and literature review. J Bone Joint Surg Am 2006 May;88(5):1111-6. Zlowodzki M, Zelle BA, Keel M, Cole PA, Kregor PJ. Evidence-based resources and search strategies for orthopaedic surgeons. Injury 2006 Apr;37(4):307-11. Graves M, Cole PA. Diagnosis of peripheral vascular injury in extremity trauma. Orthopedics 2006 Jan;29(1):35-37. Treatment of scapula fractures: systematic review of 520 fractures in 22 case series. Cole PA, Bhandari M. Whatâ€™s new in orthopaedic trauma. J Bone Joint Surg Am 2005 Dec;87(12):2823-38. Talbot M, Steenblock TR, Cole PA. Posterolateral approach for open reduction and internal fixation of trimalleolar ankle fractures. Can J Surg 2005 Dec;48(6):487-90. Weening B, Walton C, Cole PA, Alanezi K, Hanson B, Bhandari M. Lower mortality in patients with scapular fractures. J Trauma 2005 Dec;59(6):1477-81. Russell GV, Jr, Jarrett CA, Jones CB, Cole PA, Gates J. Management of distal humerus fractures with mini fragment fixation. J Orthop Trauma 2005 Aug;19(7):474-9. Zlowodzki M, Zelle BA, Cole PA, Jeray K, McKee MD, Evidence-Based Orthopaedic Trauma Working Group. Treatment of acute midshaft clavicle fractures: systematic review of 2144 fractures. J Orthop Trauma 2005 Aug;19(7):504-7. Levy BA, Zlowodzki MP, Graves M, Cole PA. Screening for extremity arterial injury with the arterial pressure index. Am J Emerg Med 2005 Sep;23:689-95. Marek DJ, Copeland GE, Zlowodzki M, Cole PA. The application of dermatotraction for primary skin closure. Am J Surg 2005 Jul;190(1):123-6. Lower mortality in patients with scapular fractures. Bhandari, M., Zlowodzki, M., Cole PA From eminence-based practice to evidence-based practice. A paradigm shift. Minn. Med., 87(4):51-54, 2004. Cole PA, Bhandari M. Whatâ€™s new in orthopaedic trauma. J. Bone Joint Surg Am 2004 Dec;86-A(12):2782-95. Zlowodzki M, Cole PA, Kregor PJ. Letter to the Editor: Intramedullary nailing in elderly patients. Orthopedics 2004;27(6):545, 562; author reply 562. Cole PA, Zlowodzki M, Kregor PJ. Behandlung von proximalen tibiafrakturen mit dem less invasive stabilization system: Chirurgische erfahrung und klinische ergebnisse von siebenundsiebzig frakturen. J. Orthop. Trauma 2004;18(8):579-580. Kregor PJ, Stannard JA, Zlowodzki M, Cole PA. Behandlung von distalen femurfrakturen mit dem less invasive stabilization system: Chirurgische erfahrung und fru Ìˆ he klinische resultate bei einhundertdrei frakturen. J. Orthop. Trauma 2004;18(8):579. Zlowodski M, Williamson S, Cole PA, Zardiackas LD, Kregor PJ, Zlowodzki M. Biomechanische evaluierung des less invasive stabilization system (LISS), winkelstabile platte und retrograder marknagelung bei der fixation interne von distalen femurfrakturen. J. Orthop. Trauma 2004;18(8):578. Zlowodzki M, Williamson S, Cole PA, Zardiackas LD, Kregor PJ. Evaluacion biomecanica del sistema de estabilizacion menos invasivo (LISS), de la placa angulada, y del clavo intramedular retrogrado para la fijacion interna de las fracturas distales del femur. J. Orthop. Trauma 2004;18(8):581-582. Kregor PJ, Stannard JA, Zlowodzki M, Cole PA. Tratamiento de las fracturas del femur distal mediante un sistema de estabilizacion minimamente invasivo (LISS, Less Invasive Stabilization System): Experiencia quirurgica y resultados clinicos iniciales de 103 fracturas. J. Orthop. Trauma 2004;18(8):582. Cole PA, Zlowodzki M, Kregor PJ. Tratamiento de fracturas de tibia proximal utilizando el sistema de estabilizacion menos invasivo (LISS): Experiencia quirurgica y resultados clÄ±nicos en sesenta y siete fracturas. J. Orthop. Trauma 2004;18(8):583. Cole PA, Zlowodzki M, Kregor PJ. Treatment of proximal tibia fractures using the Less Invasive Stabilization System: surgical experience and early clinical results in 77 fractures. J Orthop Trauma 2004 Sep;18(8):528-35. Kregor PJ, Stannard JA, Zlowodzki M, Cole PA. Treatment of distal femur fractures using the Less Invasive Stabilization System: surgical experience and early clinical results in 103 fractures. J Orthop Trauma 2004 Sep;18(8):509-20. Zlowodzki M, Williamson S, Cole PA, Zardiackas LD, Kregor PJ. Biomechanical evaluation of the Less Invasive Stabilization System, angled blade plate, and retrograde intramedullary nail for the internal fixation of distal femur fractures. J Orthop Trauma 2004 Sep;18(8):494-502. Zlowodzki M, Bhandari M, Brown G, Cole PA, Swiontkowski MF. Planning a randomized trial: determining the study sample size. Techniques In Orthopaedics 2004 Jun;19(2):72-6. Cole PA [Response to Letter to the Editor related to Orthopaedics, 25:427-30, 2002: Treatment of osteoporotic ankle fractures in the Elderly: surgical strategies.] Orthopedics, 26(2):131, 2003. Cole PA. Whatâ€™s new in orthopaedic trauma. J Bone Joint Surg Am 2003 Nov;85-A(11):2260-9. Cole PA. Endosteal allograft plating for the treatment of recalcitrant nonunions. Techniques in Orthopaedics 2003 Dec;18(4):344-55. Kregor PJ, Zlowodzki M, Stannard J, Cole PA. Submuscular plating of the distal femur. Operative Techniques in Orthopaedics 2003 4;13(2):85-95. Cole PA, Zlowodzki M, Kregor PJ. Compartment pressures after submuscular fixation of proximal tibia fractures. Injury 2003 Aug;34 Suppl 1:A43-6. Cole PA, Zlowodzki M, Kregor PJ. Less Invasive Stabilization System (LISS) for fractures of the proximal tibia: indications, surgical technique and preliminary results of the UMC clinical trial. Injury 2003 Aug;34 Suppl 1:A16-29. Saleh K, Sanders D, Cole P, Laksin R, Sculco T, Windsor R, Haas S. [Response to the Letter to the Editor related to JBJS 83A(8):1144-8, 2001: Total knee arthroplasty after open reduction and internal fixation of the tibial plateau. A minimum five-year follow up study.] J Bone Joint Surg Am 2002 Jun;84-A(6):1084-5. Cole PA. Scapula fractures. Orthop Clin North Am 2002 Jan;33(1):1-18,vii. Hammitt MD, Cole PA, Kregor PJ. Massive perineal wound slough after treatment of complex pelvic and acetabular fractures using a traction table. J Orthop Trauma 2002 Sep;16(8):601-5. Cole PA, Frick SL, Sanders DW, Saleh KJ, Shin AY. AOA 2001 John J. Fahey, MD, Memorial North American Traveling Fellowship: Fellowsâ€™ Travel Diary. J Bone Joint Surg Am 2002 May;84-A(5):854-62. Cole PA, Craft JA. Treatment of osteoporotic ankle fractures in the elderly: surgical strategies. Orthopedics 2002 Apr;25(4):427-30. Kregor PJ, Hughes JL, Cole PA. Fixation of distal femur fractures above total knee arthroplasty utilizing the Less Invasive Stabilization System (L.I.S.S.). Injury 2001 Dec;32 Suppl 3:SC64-75. Kregor PJ, Stannard J, Zlowodzki M, Cole PA, Alonso J. Distal femoral fracture fixation utilizing the Less Invasive Stabilization System (L.I.S.S. ): The technique and early results. Injury 2001 Dec;32 Suppl 3:SC32-47. Kregor PJ, Stannard JP, Cole PA, Zlowodski M, Alonzo JA. Prospective clinical trial of the less invasive stabilization (L.I.S.S.) for supracondylar femur fractures. J. Orthop. Trauma 2000;14(2):133-134. Noerdlinger MA, Lifrak JT, Cole PA. Proximal tibial physis fractures and the use of noninvasive studies in detecting vascular injury: a case report and literature review. Am J Orthop 2000;29(11):891-5. Cole PA, Benirschke SK. Minimally invasive surgery for the pilon fracture: the percutaneous-submuscular plating technique. Techniques in Orthopaedics 1999 Sep;14(3):201-8. Garr JL, Gentilello LM, Cole PA, Mock CN, Matsen FA. Monitoring for compartmental syndrome using near-infrared spectroscopy: A noninvasive, continuous, transcutaneous monitoring technique. J Trauma 1999 Apr;46(4):613-8. Cole PA, Ehrlich MG. Management of the completely stiff pediatric knee. J Pediatr Orthop 1997 Jan/Feb;17(1):67-73. Voss L, Cole PA, Dâ€™Amato C. Case report: Pediatric chance fractures from lapbelts: unique case report of three in one accident. J Orthop Trauma 1996 Aug;10(6):421-8. Cole PA, Weiss APC. The bolster techniqueâ€”an orthopaedic application. J Orthop Surgical Techniques 1994;2(2). Hozack WJ, Cole PA, Gardner R, Corces A. Popliteal aneurysm after total knee arthroplasty. Case reports and a review of the literature. J Arthroplasty 1990 Dec;5(4):301-5. Tilton RG, Cole PA, Zions JD, Daugherty A, Larson KB, Sutera SP, Kilo C, Williamson JR. Increased ischemia-reperfusion injury to the heart associated with short-term, diet-induced hypercholesterolemia in rabbits. Circ Res 1987 Apr;60(4):551-9. Tilton RG, Cole PA, Larson KB, Kilo C, Williamson JR. Hyaluronidase does not prevent deterioration of vascular functional integrity during reperfusion after no-flow ischemia in isolated rabbit hearts. Circ Res 1985 Jun;56(6):839-50. Cole PA, Jacobson AR. Shoulder Girdle Injuries. In: Stannard J, Schmidt A, Kregor PJ, eds. Surgical Treatment of Orthopaedic Trauma, 2nd ed. New York, NY. 2016:pp. Orthopaedic Trauma in the Austere Environment: A Practical Guide to Humanitarian Care, de Dios Robinson J, ed. Springer. 2016: pp. Rizkala AR, Cole PA. Scapula Fractures. In: The Encyclopedia of Trauma Care, Papadakos PJ, Gestring M eds. Springer 2015:1439-1452. Clinical Decision Support System on Shoulder and Elbow, Zuckerman JD, Oh L, Strauss E eds. Decision Support in Medicine, LLC. 2015: pp. Cole PA, Schroder LK, Jacobson AR. Scapula and Rib Fractures. In: Browner B, Jupiter J, Krettek C, Anderson P, eds. Skeletal Trauma. Fifth Edit. Philadelphia, PA: Saunders/Elsevier; 2015:1519-1555. Cole PA, Gammon SR. Fractures of the Clavicle and Scapula. In AAOS Comprehensive Orthopaedic Review, 2nd edition. 2014: 285-292. Cole PA, Hill BW. Scapula Fracture. In: Orthopaedic Traumatology: An Evidence Based Approach. Edited by Obremskey WT, Sethi MK, Jahangir AA. New York, Springer. 2013;5:71-86. Cole PA, Hill BW. Partially unstable pelvic ring injury: bilateral anterior pubic root fractures and a disruption of the left sacroiliac joint — 61-B2.2. In: Bavonratanavech S, Pesanteez R, and Babst R, eds. AO Manual of Fracture Management: Minimally Invasive Plate Osteosynthesis (MIPO), 2nd expanded edition. AO Foundation. New York, NY: Thieme. 2012:281-6. Cole PA, Levy BA, Watson T, Schatzker J. Chapter 56 : Tibial Plateau Fractures. In: Skeletal Trauma 4th Edition: Basic Science, Management and Reconstruction. Edited by Browner B, Levine A, Jupiter J, Trafton P and Krettek C. Philadelphia: Saunders/Elsevier, 2009. Cole PA, Tarkin IS. Tibial Pilon Fractures. In: Core Knowledge in Orthopaedics: Foot and Ankle. Edited by DiGiovanni C, and Greisberg J, New York, Mosby Inc. 2007. Cole PA: The Diagnosis and Management of Musculoskeletal Trauma. In: Swiontkowski MF, Stovitz SD, eds. The Manual of Orthopaedics, 6th ed. Philadelphia, PA: Lippincott-Williams and Wilkins, 2006. Cole PA, Latta L, Krettek C. Minimally Invasive Fracture Care. In: Anglen J, ed. OKU: Trauma 3. Rosemont, IL: American Academy of Orthopaedic Surgeons, 2005. Cole PA, Zlowodzki M, Kregor PJ. The Role of the Less Invasive Stabilization System For Proximal Tibia Fractures. In: Les fractures du genou. Edited by Vannineuse, A. and Fontaine, Ch., Springer Verlag Publishers, 2002. Trafton PG, Cole PA, Digiovani C. Ankle Fractures-ORIF. In: Master Techniques in Orthopaedic Surgery, ed. Fractures. Edited by Wiss, D., Philadelphia, Lippincott-Raven Publishers, 1998. Jones CB, Cole PA. Complications of Scapular Fractures: Diagnosis and Management In: Zuckerman JD. Disorders of the Shoulder, 3rd ed. Philadelphia, PA: Lippincott-Williams and Wilkins. [In Press]. Cole PA, Jones CB. Operative Management of Scapular Fractures: Indications, Techniques, and Outcomes In: Zuckerman JD, ed. Disorders of the Shoulder, 3rd ed. Philadelphia, PA: Lippincott Williams & Wilkins [In Press]. Cole PA. Discussion: Foot and ankle. AO Trauma Course – Advanced Principles of Fracture Management, Hong Kong, January 2016. Cole PA. Evaluation and emergency management of pelvic ring injuries. AO Trauma Course – Advanced Principles of Fracture Management, Hong Kong, January 2016. Cole PA. Talar neck fractures and midfoot injuries. AO Trauma Course – Advanced Principles of Fracture Management, Hong Kong, January 2016. Cole PA. Early and Definitive treatment of pilon fractures. AO Trauma Course – Advanced Principles of Fracture Management, Hong Kong, January 2016. Cole PA. Complex Tibial plateau fractures. AO Trauma Course – Advanced Principles of Fracture Management, Hong Kong, January 2016. Cole PA. Discussion: Femoral Fracture. AO Trauma Course – Advanced Principles of Fracture Management, Hong Kong, January 2016. Cole PA. Discussion: Upper Extremity (clavicle, proximal humerus and elbow). AO Trauma Course – Advanced Principles of Fracture Management, Hong Kong, January 2016. Cole PA. Fractures of the clavicle: when and how to operate – indications and methods of fixation. AO Trauma Course – Advanced Principles of Fracture Management, Hong Kong, January 2016. Cole PA. Reduction Techniques/MIS. AO Trauma Course – Advanced Principles of Fracture Management, Hong Kong, January 2016. Cole PA. Upper Extremity, AO Trauma Masters Course – Current Concepts, Davos, Switzerland, December 2015. Cole PA. Self-Directed Learning Modules: Shoulder Girdle and Complex Forearm, AO Trauma Masters Course – Current Concepts, Davos, Switzerland, December 2015. Cole PA. Through the Eyes of a Master. AO Trauma Masters Course – Current Concepts, Davos, Switzerland, December 2015. Cole PA. Discussion (small group): MIO – Minimizing surgical footprints. AOTrauma Course- Advances in Operative Fracture Management, Jakarta, Indonesia, May 2015. Cole PA. Discussion (small group): Fractures of the scapula-indication for surgery and methods of fixation. AOTrauma Course- Advances in Operative Fracture Management, Jakarta, Indonesia, May 2015. Cole PA. Discussion/practical exercise (small group): Fixation of a four fragment fractures in the proximal humerus using a Philos. AOTrauma Course- Advances in Operative Fracture Management, Jakarta, Indonesia, May 2015. Cole PA. Discussion (small group): Modern Application of principles-fracture reduction and techniques of stabilization. AOTrauma Course- Advances in Operative Fracture Management, Jakarta, Indonesia, May 2015. Cole PA. Discussion (small group): Femoral neck fractures-different patients, different problems. AOTrauma Course- Advances in Operative Fracture Management, Jakarta, Indonesia, May 2015. Cole PA. Discussion (small group): Fractures of the Femur. AOTrauma Course- Advances in Operative Fracture Management, Jakarta, Indonesia, May 2015. Cole PA. Discussion (small group): Complex malleolar fractures. AOTrauma Course- Advances in Operative Fracture Management, Jakarta, Indonesia, May 2015. Cole PA. Discussion (small group): Calcaneal fractures – predicting and avoiding problems. AOTrauma Course- Advances in Operative Fracture Management, Jakarta, Indonesia, May 2015. Cole PA. Discussion/practical exercise (small group): Management of a type 41-C3 bicondylar tibial plateau using an LCP. AOTrauma Course- Advances in Operative Fracture Management, Jakarta, Indonesia, May 2015. Cole PA. Discussion (small group): Principles of acetabular fracture management. AOTrauma Course- Advances in Operative Fracture Management, Jakarta, Indonesia, May 2015. Cole PA. Minimally Invasive Fixation: techniques in pelvic fractures. Korea-Japan Combined Pelvic & Acetabular Fracture Conference, Seoul, Korea, April 2015. Cole PA. Scapular Fractures. Meeting of the Korean Fracture Society, Seoul, Korea, April 2015. Cole PA. Tibia Pilon Fracture Management. Meeting of the Korean Fracture Society, Seoul, Korea, April 2015. Cole PA. Upper Extremity Shoulder Trauma Module. AO Trauma Masters Course – Current Concepts, Davos, Switzerland, December 2014. Cole PA. Scapula Fractures, Deformity, Diagnosis, Indications & Approaches. AO Trauma Masters Course – Current Concepts, Davos, Switzerland, December 2014. Cole PA. Moderator: AC and SC joint. AO Trauma Masters Course – Current Concepts, Davos, Switzerland, December 2014. Cole PA. Moderator: Scapula Fractures. AO Trauma Masters Course – Current Concepts, Davos, Switzerland, December 2014. Cole PA. Discussion (small group): AC & SC Joint Injury, Clavicle and Scapula Fractures, Proximal Humerus Fractures. AO Trauma Masters Course – Current Concepts, Davos, Switzerland, December 2014. Cole PA. Discussion (small group): Distal Femur Fractures, Patella Fractures. AO Trauma Masters Course – Current Concepts, Davos, Switzerland, December 2014. Cole PA. Discussion (small group): Complex Long Bone Fractures, Shaft Fractures in Polytrauma, Treating Complications of Long Bone Failures. AO Trauma Masters Course – Current Concepts, Davos, Switzerland, December 2014. Cole PA. Malunion of fractures of the lower limb – Cases. Congreso SPOT, Arequipa 2013, Arequipa Peru, October 2013. Cole PA. General concepts and challenges in the treatment of aseptic nonunion. Congreso SPOT, Arequipa 2013, Arequipa Peru, October 2013. Cole PA. Periprosthetic fractures: Options and outcomes. Congreso SPOT, Arequipa 2013, Arequipa Peru, October 2013. Cole PA. General concepts in the treatment of failed fixation. Congreso SPOT, Arequipa 2013, Arequipa Peru, October 2013. Cole PA. General concepts and difficulties in treating complex articular fractures. Congreso SPOT, Arequipa 2013, Arequipa Peru, October 2013. Cole PA. Acetabulum: Approaches and treatment: Approach Choice, T-Fractures, Curso Pelvis Y Acetabulo, AOTLA, Palm Beach FL, August 2013. Cole PA. Anatomy Classification and Diagnosis in Acetabulum Fractures: Clinical case discussions. Curso Pelvis Y Acetabulo, AOTLA, Palm Beach FL, August 2013. Cole PA. Special Situations: Long follow up after pelvic fractures. Curso Pelvis Y Acetabulo, AOTLA, Palm Beach FL, August 2013. Cole PA. Emergency Treatment: Pelvic Packing. Curso Pelvis Y Acetabulo, AOTLA, Palm Beach FL, August 2013. Cole PA. Cross pollination between the AO Clinical Divisions: what you bring to us and what we bring to you. AO Trustees Meeting, Lima, Peru, June 2013. Cole PA. MIO. Philosophy, tricks on closed reduction, and fixation of fractures & the new way of internal fixation. Congreso do Instituto de Ortopedia e Traumatologia, Guaruja, Sao Paulo, Brazil, April 2013. Cole PA. Scapula – Pelvis – Emergency and Minimally Invasive Management of Pelvic Ring Injuries. Contemporary Treatment Applications. Congreso do Instituto de Ortopedia e Traumatologia, Guaruja, Sao Paulo, Brazil, April 2013. Cole PA. Scapula – The undiscovered frontier of Orthopaedic Trauma Surgery. Thank God we discovered a new bone. Congreso do Instituto de Ortopedia e Traumatologia, Guaruja, Sao Paulo, Brazil, April 2013. Cole PA. Tibia Pilon Respecting Principles and Improved Results. Methods of Anatomic Reduction and Internal Fixation. Congreso do Instituto de Ortopedia e Traumatologia, Guaruja, Sao Paulo, Brazil, April 2013. Cole PA. The Emergency Management of Pelvic Ring Injuries. Course for the Fracture and Applied Anatomy of the Pelvis and Acetabulum, Hushan Hospital, Fudan University, Shanghai, China, May 2012. Cole PA. Minimally Invasive Treatment of Pelvic Fractures. Course for the Fracture and Applied Anatomy of the Pelvis and Acetabulum, Hushan Hospital, Fudan University, Shanghai, China, May 2012. Cole PA. Decision making, planning, positioning, and imaging for MIO. AO Trauma Course – Minimally Invasive Osteosynthesis, Davos, Switzerland, December 2011. Cole PA. Clinical application and technique MIPO: Femur fractures. AO Trauma Course – Minimally Invasive Osteosynthesis, Davos, Switzerland, December 2011. Cole PA. Discussion (small group) Implementation of MIPO Principles on the femur. AO Trauma Course – Minimally Invasive Osteosynthesis, Davos, Switzerland, December 2011. Cole PA. Definition, Concept and Principle of MIO. AO Trauma Course – Minimally Invasive Osteosynthesis, Kolkata, India, August 2011. Cole PA. Reduction Technique in MIO. AO Trauma Course – Minimally Invasive Osteosynthesis, Kolkata, India, August 2011. Cole PA. Practical Exercise IV: MIPO humeral shaft with LCP/Proximal Humerus with Long PHILOS. AO Trauma Course – Minimally Invasive Osteosynthesis, Kolkata, India, August 2011. Cole PA. Special Indications for MIO. AO Trauma Course – Minimally Invasive Osteosynthesis, Kolkata, India, August 2011. Cole PA. Practical Exercise V: MIPO Distal Femur – parapatellar approach. AO Trauma Course – Minimally Invasive Osteosynthesis, Kolkata, India, August 2011. Cole PA. Implants and Instruments for MIO. AO Trauma Course – Minimally Invasive Osteosynthesis, Taiwan, China, November 2010. Cole PA. Radiation Hazard in MIO. AO Trauma Course – Minimally Invasive Osteosynthesis, Taiwan, China, November 2010. Cole PA. Practical Exercise III: MIPO Distal Femur with Distal Femur LCP on Foam Model. AO Trauma Course – Minimally Invasive Osteosynthesis, Taiwan, China, November 2010. Cole PA. Expert Panels II, MIO in Pelvis. AO Trauma Course – Minimally Invasive Osteosynthesis, Taiwan, China, November 2010. Cole PA. MIPO of Distal Femur by Parapatella Approach. AO Trauma Course – Minimally Invasive Osteosynthesis, Taiwan, China, November 2010. Cole PA. Scapular Fractures I. My Topic for You, 2nd International Congress on State-of-the-Art Updates in Orthopaedic Surgery, Zurich, Switzerland, October 2010. Cole PA. Teaching Post: Scapular Fractures. My Topic for You, 2nd International Congress on State-of-the-Art Updates in Orthopaedic Surgery, Zurich, Switzerland, October 2010. Cole PA. Discussion Leader: New Concepts Pelvic Lift. Minimal Invasive Osteosynthesis Expert Group, Luzern, Switzerland, August 2010. Cole PA. Epidemiología de las Fracturas en el INSN. Conferencia: Fracturas En Niños, Manejo De Las Secuelas, Lima, Perú, January 2010. Cole PA. Presentación de Casos Clínicos. Conferencia: Fracturas En Niños, Manejo De Las Secuelas, Lima, Perú, January 2010. Cole PA. Implants and Instruments for MIO. AO Trauma Course – Minimally Invasive Osteosynthesis, Seoul, Korea, October 2009. Cole PA. Imaging for MIO, Radiation Hazard. AO Trauma Course – Minimally Invasive Osteosynthesis, Seoul, Korea, October 2009. Cole PA. MIO in Pelvis. AO Trauma Course – Minimally Invasive Osteosynthesis, Seoul, Korea, October 2009. Cole PA. MIPO of Proximal Tibia on Lateral Side and Distal Tibia on Medial Side. AO Trauma Course – Minimally Invasive Osteosynthesis, Seoul, Korea, October 2009. Cole PA. Femur Shaft Fracture AO 31 A 1.2. AO Trauma Course – Minimally Invasive Osteosynthesis, Davos, Switzerland, December 2008. Cole PA. External Fixator and Collinear Clamp Clinical Case Demonstration. AO Trauma Course – Minimally Invasive Osteosynthesis, Davos, Switzerland, December 2008. Cole PA. Moderator: Decision Making, Planning, Imaging. AO Trauma Course – Minimally Invasive Osteosynthesis, Davos, Switzerland, December 2008. Cole PA. Imaging and Radiation Hazards. AO Trauma Course – Minimally Invasive Osteosynthesis, Davos, Switzerland, December 2008. Cole PA. Case Analysis and Discussion. “How I Do It.” AO Trauma Course – Minimally Invasive Osteosynthesis, Davos, Switzerland, December 2008. Cole PA. Case Analysis and Discussion Humerus and Complications “How I Do It.” AO Trauma Course – Minimally Invasive Osteosynthesis, Davos, Switzerland, December 2008. Cole PA. MIPO Fractured Distal Tibia. AO Trauma Course – Minimally Invasive Osteosynthesis, Davos, Switzerland, December 2008. Cole PA. Minimal Invasive Approaches to the Scapula – Is It Possible? AO Trauma Course – Minimally Invasive Osteosynthesis, Davos, Switzerland, December 2008. Cole PA. Case Analysis and Discussion – “How I Do It.” AO Trauma Course – Minimally Invasive Osteosynthesis, Davos, Switzerland, December 2008. Cole PA. MIS/MIPO en Lesiones de Altal Energia con Lesíones de Partes Blandas. Curso AO de Lesiones de Alta Energia, Malaga, Spain, February 2008. Cole PA. Fijación Percutánea de Las Fracturas de Pelvis y acetábulo, su Tratamiento en Urgencias. LISS Pélvico. Curso AO de Lesiones de Alta Energia, Malaga, Spain, February 2008. Cole PA. Fractuuras de la Escápula y Clavícula. Hombro Flotante. Curso AO de Lesiones de Alta Energia, Malaga, Spain, February 2008. Cole PA. Fracturas Complejas del Fémur Distal. Opciones de Tratamiento. Curso AO de Lesiones de Alta Energia, Malaga, Spain, February 2008. Cole PA. Fracturas del Astrágalo. Curso AO de Lesiones de Alta Energia, Malaga, Spain, February 2008. Cole PA. Tratamiento Quirúrgico de las Fracturas del Calcúneo. Curso AO de Lesiones de Alta Energia, Malaga, Spain, February 2008. Cole PA. Fracturas y Luxaciones Graves del Antepie (Lisfranc y Chopart). Curso AO de Lesiones de Alta Energia, Malaga, Spain, February 2008. Cole PA. Tibia Bridge Plating and Clinical Case Demonstration. AO Minimally Invasive Osteosynthesis Course, Davos, Switzerland, December 2007. Cole PA. Imaging for MIS and Radiation Hazard. AO Minimally Invasive Osteosynthesis Course, Davos, Switzerland, December 2007. Cole PA. Moderator: Decision making, planning, bridge-plating and imaging. AO Minimally Invasive Osteosynthesis Course, Davos, Switzerland, December 2007. Cole PA. Femur: Case analysis and Discussion. AO Minimally Invasive Osteosynthesis Course, Davos, Switzerland, December 2007. Cole PA. Proximal Femur. AO Minimally Invasive Osteosynthesis Course, Davos, Switzerland, December 2007. Cole PA. Femur: Distal Femur Fracture AO 33 C2 with Distractor and LISS-DF. AO Minimally Invasive Osteosynthesis Course, Davos, Switzerland, December 2007. Cole PA. Femoral Shaft Fracture: AO 32C Clinical Case Demonstration. AO Minimally Invasive Osteosynthesis Course, Davos, Switzerland, December 2007. Cole PA. Humerus: Case Analysis and Discussion of Complications. AO Minimally Invasive Osteosynthesis Course, Davos, Switzerland, December 2007. Cole PA. Proximal Tibia: Case Analysis and Discussion. AO Minimally Invasive Osteosynthesis Course, Davos, Switzerland, December 2007. Cole PA. Inestabilidad Pelvica Con Paciente Hemodinamicamente Inestable. Temas Congreso SPOT 2007, Lima, Perú, August 2007. Cole PA. Fracturas de Ambas Columnas. Temas Congreso SPOT 2007, Lima, Perú, August 2007. Cole PA. EEM Humero Anterogrado. Temas Congreso SPOT 2007, Lima, Perú, August 2007. Cole PA. Rodilla Flotante. Temas Congreso SPOT 2007, Lima, Perú, August 2007. Cole PA. Tratamiento. Tecnicas de Fijacion Minimamente Invasivo. Temas Congreso SPOT 2007, Lima, Perú, August 2007. Cole PA. Riesgos y Complcaciones, Fracturas Astragalo. Temas Congreso SPOT 2007, Lima, Perú, August 2007. Cole PA. Osteosintesis Fallida y Metodos de Salvataje. Temas Congreso SPOT 2007, Lima, Perú, August 2007. Cole PA. Osteosintesis Minimamente Invasiva: Tibia. Temas Congreso SPOT 2007, Lima, Perú, August 2007. Cole PA. Osteosintesis Minimamente Invasiva: Complicaciones y Soluciones. Temas Congreso SPOT 2007, Lima, Perú, August 2007. Cole PA. Reduction Technique for MIO. AO Course – Minimally Invasive Osteosynthesis, Chiang Mai, Thailand, April 2007. Cole PA. Imaging for MIO, radiation hazard. AO Course – Minimally Invasive Osteosynthesis, Chiang Mai, Thailand, April 2007. Cole PA. Distal Tibia, MIO in the Pelvis. AO Course – Minimally Invasive Osteosynthesis, Chiang Mai, Thailand, April 2007. Cole PA. Moderator: MIPO Distal Tibial with Metaphyseal LCP. AO Course – Minimally Invasive Osteosynthesis, Chiang Mai, Thailand, April 2007. Cole PA. Moderator: MIPO Femoral Shaft with LCP. AO Course – Minimally Invasive Osteosynthesis, Chiang Mai, Thailand, April 2007. Cole PA. Moderator: MIPO Distal Femur with Distal Femur LCP. AO Course – Minimally Invasive Osteosynthesis, Chiang Mai, Thailand, April 2007. Cole PA. Tibia Reduction Screw, Percutaneous Clamp. AO Specialty Course – MIS/CAS, Davos, Switzerland, December 2006. Cole PA. Tibia: Bridge Plating. AO Specialty Course – MIS/CAS, Davos, Switzerland, December 2006. Cole PA. Femur: Distal Femur 33 C2 with Distractor. AO Specialty Course – MIS/CAS, Davos, Switzerland, December 2006. Cole PA. Femur: External Fixator and Collinear Forceps. AO Specialty Course – MIS/CAS, Davos, Switzerland, December 2006. Cole PA. North America Course 2007 Update. MIO Working Group Meeting, Lucerne, Switzerland, October 2006. Cole PA. Management of Femur Fractures. Hospital Regional de Pucallpa, Pucallpa, Perú, May 2006. Cole PA. Articular Fractures: Proximal Humerus. AO Course – Principles in Operative Fracture Management, Davos, Switzerland, December 2005. Cole PA. Medial and Lateral Third Clavicular Fractures – Problems and Solutions. AO Masters Course, Davos, Switzerland, December 2005. Cole PA. El Desarrollo de la Cirugía Minimamente Invasiva Con Placas: ¿Cuál es el Estatus Actual del Estudio Clínico de Los Cuevos Implantes Con Estas Técnicas? Curso AO Avanzado Cirugia Minimamente Invasiva en Traumatologia, Barcelona, Spain, November 2005. Cole PA. MIPO en Fémur Proximal: Placa vs. Clavo. ¿Qué método de Osteosíntesis es el Ideal? Curso AO Avanzado Cirugia Minimamente Invasiva en Traumatologia, Barcelona, Spain, November 2005. Cole PA. El Sistema LISS. Conceptos Biomecánicos. Ventajas e Inconvenientes. Curso AO Avanzado Cirugia Minimamente Invasiva en Traumatologia, Barcelona, Spain, November 2005. Cole PA. Fémur Distal. Fracturas Articulares. MIS vs. Clavo IM. Curso AO Avanzado Cirugia Minimamente Invasiva en Traumatologia, Barcelona, Spain, November 2005. Cole PA. Experiencia Clíníca con el Sistema LISS en USA. Curso AO Avanzado Cirugia Minimamente Invasiva en Traumatologia, Barcelona, Spain, November 2005. Cole PA. Fracturas del Pilón Tibial y del Astrágalo: Evolución de la Técnica Quirúrgica. Curso AO Avanzado Cirugia Minimamente Invasiva en Traumatologia, Barcelona, Spain, November 2005. Cole PA. Fijación Percutánea en Pelvis. Sacroilíacas y Pelvis Anterior. Curso AO Avanzado Cirugia Minimamente Invasiva en Traumatologia, Barcelona, Spain, November 2005. Cole PA. Últimos Avances en Traumatologia. Curso AO Avanzado Cirugia Minimamente Invasiva en Traumatologia, Barcelona, Spain, November 2005. Cole PA. Relative Stability: The Locking Compression Plate, Biology, Biomechanics, Clinical Applications. Basic Principles and Techniques of Operative Fracture Management: Course for Residents, Vancouver, British Columbia, Canada, September 2005. Cole PA. Usos del Distractor en Trauma. Curso Internacional de Tumores Oseos & Osteosintesis “Dr. Angel Auad Herales,” Guayaquil, Ecuador, June 2005. Cole PA. Casos de Fractura Proximal con Placas Bloqueadas. Curso Internacional de Tumores Oseos & Osteosintesis “Dr. Angel Auad Herales,” Guayaquil, Ecuador, June 2005. Cole PA. Manejo de la Pseudoartrosis. Curso Internacional de Tumores Oseos & Osteosintesis “Dr. Angel Auad Herales,” Guayaquil, Ecuador, June 2005. Cole PA. Tratamiento del Pilón Tibial. Curso Internacional de Tumores Oseos & Osteosintesis “Dr. Angel Auad Herales,” Guayaquil, Ecuador, June 2005. Cole PA. Pelvis Tratamiento Emergente y Percutáneo. Curso Internacional de Tumores Oseos & Osteosintesis “Dr. Angel Auad Herales,” Guayaquil, Ecuador, June 2005. Cole PA. Tratamiento de la Fractura de Tibia Proximal. Curso Internacional de Tumores Oseos & Osteosintesis “Dr. Angel Auad Herales,” Guayaquil, Ecuador, June 2005. Cole PA. Evolution of MIPO. What is the Status of the Clinical Research behind these implants and Surgical Techniques? Simposio AO Cirugía Mínimamente Invasiva En Traumatología Curso AO Avanzado, Gijon, Spain, September 2004. Cole PA. Submuscular Fixation in Proximal Femur. Plate Fixation vs IM Fixationi. Simposio AO Cirugía Mínimamente Invasiva En Traumatología Curso AO Avanzado, Gijon, Spain, September 2004. Cole PA. Fracturas Intertrocantéreas. Simposio AO Cirugía Mínimamente Invasiva En Traumatología Curso AO Avanzado, Gijon, Spain, September 2004. Cole PA. Biomechanical Rationale for Locking Plates: Are They Really Better? Simposio AO Cirugía Mínimamente Invasiva En Traumatología Curso AO Avanzado, Gijon, Spain, September 2004. Cole PA. Distal Femur Fractures: LISS vs IM Nails. Simposio AO Cirugía Mínimamente Invasiva En Traumatología Curso AO Avanzado, Gijon, Spain, September 2004. Cole PA. Pilon. Simposio AO Cirugía Mínimamente Invasiva En Traumatología Curso AO Avanzado, Gijon, Spain, September 2004. Cole PA. Talus Fractures: Advances in Operative Technique. Simposio AO Cirugía Mínimamente Invasiva En Traumatología Curso AO Avanzado, Gijon, Spain, September 2004. Cole PA. Percutaneous Screw Insertion: Iliosacral, Anterior Column and Iliac Wing. Simposio AO Cirugía Mínimamente Invasiva En Traumatología Curso AO Avanzado, Gijon, Spain, September 2004. Cole PA. Fractures with Fluoroscopic Control. Simposio AO Cirugía Mínimamente Invasiva En Traumatología Curso AO Avanzado, Gijon, Spain, September 2004. Cole PA. Politraumatizados. Cirugía urgente y control de daños. Simposio AO Cirugía Mínimamente Invasiva En Traumatología Curso AO Avanzado, Gijon, Spain, September 2004. Cole PA. What is New in Orthopaedic Trauma? Simposio AO Cirugía Mínimamente Invasiva En Traumatología Curso AO Avanzado, Gijon, Spain, September 2004. Cole PA. Estabilización de Huesos Largos en Pacientes Politraumatizados—DEBATE Enclavado Femoral -Pro Angegrado. Curso Avanzado AO, Avances en el Tratamento Quirúrgico, Bolivia, May 2004. Cole PA. Son Obsoletas Las Placas en Fracturas Diafisarias?—DEBATE: Pro Placas. Curso Avanzado AO, Avances en el Tratamento Quirúrgico, Bolivia, May 2004. Cole PA. Fracturas de Cuello Femoral entre 55 y 65 Años-DEBATE: Pro ORIF. Curso Avanzado AO, Avances en el Tratamento Quirúrgico, Bolivia, May 2004. Cole PA. Fracturas Periprostéticas en Rodilla, Placas Tradicionales o LISS— DEBATE: Pro LISS. Curso Avanzado AO, Avances en el Tratamento Quirúrgico, Bolivia, May 2004. Cole PA. Fracturas del Platillo Tibial, Placas Convencionales o Especiales. Curso Avanzado AO, Avances en el Tratamento Quirúrgico, Bolivia, May 2004. Cole PA. Fracturas de Calcáneo: Osteosíntesis o Tratamiento Conservador. Curso Avanzado AO, Avances en el Tratamento Quirúrgico, Bolivia, May 2004. Cole PA. Fijación Percutánea de Lesiones Pelvianas. Curso Avanzado AO, Avances en el Tratamento Quirúrgico, Bolivia, May 2004. Cole PA. Moderator & Case Presentations, Lunch with Complex Fractures. Curso Avanzado AO, Avances en el Tratamento Quirúrgico, Bolivia, May 2004. Cole PA. Rodillas Flotante y . Curso Avanzado AO, Avances en el Tratamento Quirúrgico, Bolivia, May 2004. Cole PA. Lab Instructor, DCS-Tornillo Condylar Dynamico, LISS. Curso Avanzado AO, Avances en el Tratamento Quirúrgico, Bolivia, May 2004. Cole PA. Lab Instructor, Osteosíntesis en Platillo Tibial. Curso Avanzado AO, Avances en el Tratamento Quirúrgico, Bolivia, May 2004. Cole PA. Lab Instructor, Fijador Hybrido. Curso Avanzado AO, Avances en el Tratamento Quirúrgico, Bolivia, May 2004. Cole PA. La Evolución de la Fijación con Placas. XII Curso Nacional AO Avanzado, Alicante, Spain, March 2004. Cole PA. Conceptos Biomecánicos y Biológicos del Sistema LISS. XII Curso Nacional AO Avanzado, Alicante, Spain, March 2004. Cole PA. Fracturas de Alta Energía del Cuello del Fémur. XII Curso Nacional AO Avanzado, Alicante, Spain, March 2004. Cole PA. Reconstucción Secundaria de los Callos Viciosos del Tobillo. XII Curso Nacional AO Avanzado, Alicante, Spain, March 2004. Cole PA. Fracturas Complejas de Fémur Distal. Auditorio Sociedad Nacional de Industrias/Avanzado Avances en el Manejo de Fracturas/AO Internacional, AO Lat, AOAA Perú, Lima, Perú, June 2003. Cole PA. Sistema LISS. Auditorio Sociedad Nacional de Industrias/Avanzado Avances en el Manejo de Fracturas/AO Internacional, AO Lat, AOAA Perú, Lima, Perú, June 2003. Cole PA. Inestabilidad Posterior del Anillo Pélvico. Auditorio Sociedad Nacional de Industrias/Avanzado Avances en el Manejo de Fracturas/AO Internacional, AO Lat, AOAA Perú, Lima, Perú, June 2003. Cole PA. La Nueva Generación de Clavos Para Húmero-Flexnail. Auditorio Sociedad Nacional de Industrias/Avanzado Avances en el Manejo de Fracturas/AO Internacional, AO Lat, AOAA Perú, Lima, Perú, June 2003. Cole PA. El Clavo Femoral Distal. Auditorio Sociedad Nacional de Industrias/Avanzado Avances en el Manejo de Fracturas/AO Internacional, AO Lat, AOAA Perú, Lima, Perú, June 2003. Cole PA. Fracturas del Húmero Distal. Auditorio Sociedad Nacional de Industrias/Avanzado Avances en el Manejo de Fracturas/AO Internacional, AO Lat, AOAA Perú, Lima, Perú, June 2003. Cole PA. Fracturas de Pilón Tibial. Auditorio Sociedad Nacional de Industrias/Avanzado Avances en el Manejo de Fracturas/AO Internacional, AO Lat, AOAA Perú, Lima, Perú, June 2003. Cole PA. Fracturas del Calcáneo. Auditorio Sociedad Nacional de Industrias/Avanzado Avances en el Manejo de Fracturas/AO Internacional, AO Lat, AOAA Perú, Lima, Perú, June 2003. Cole PA. Seudo Artrosis Complejas . Auditorio Sociedad Nacional de Industrias/Avanzado Avances en el Manejo de Fracturas/AO Internacional, AO Lat, AOAA Perú, Lima, Perú, June 2003. Cole PA. Fracturas Periprostéticas. Auditorio Sociedad Nacional de Industrias/Avanzado Avances en el Manejo de Fracturas/AO Internacional, AO Lat, AOAA Perú, Lima, Perú, June 2003. Cole PA. Fijación Percutanea de las Fracturas Pélvicas y su Tratamiento en Urgencias. Curso AO Avanzado de Lesiones por Alta Energia. Malaga, Spain, January 2003. Cole PA. Lesiones Operativo De Escapula: Diagnosis, Classificación y Tratamiento. Curso AO Avanzado de Lesiones por Alta Energia. Malaga, Spain, January 2003. Cole PA. Fracturas Complejas de Femur Distal. Curso AO Avanzado de Lesiones por Alta Energia. Malaga, Spain, January 2003. Cole PA. Fracturas Complejas de Tibia Proximal. Curso AO Avanzado de Lesiones por Alta Energia. Malaga, Spain, January 2003. Cole PA. Experiencia En Norte America con el LISS. Curso AO Avanzado de Lesiones por Alta Energia. Malaga, Spain, January 2003. Cole PA. Fracturas del Pilon Tibial. Curso AO Avanzado de Lesiones por Alta Energia. Malaga, Spain, January 2003. Cole PA. Fracturas Del Astragalo. Curso AO Avanzado de Lesiones por Alta Energia. Malaga, Spain, January 2003. Cole PA. Fijadores Internos: Nuevas Tecnologías. Curso AO Avanzado de Lesiones por Alta Energia. Malaga, Spain, January 2003. Cole PA.Osteoporosis and Periprosthetic Fractures. AO Master Course, Davos, Switzerland, December 2002. Cole PA.Is It Okay to Fix Open Fractures Acutely? Case Presenter and Moderator. AO “Non-Skiers” Course, Davos, Switzerland, December 2002. Cole PA. Endosteal Allograft Substitution Techniques for the Treatment of Recalcitrant Nonunions. North American Traveling Fellowship, Hôspital Du Sacre Couer, Montreal , Canada, October 2001. Cole PA. The Less Invasive Stabilization System-Technique or Technology? North American Traveling Fellowship, Halifax Dalhousie Hospital, Nova Scotia, Canada, October 2001. Cole PA. Principles on Management of Articular Injuries. IX COTESP (Brazilian American Congress of Orthopaedic Surgery), São Palo, Brazil, June 2001. Cole PA. Distal Femur Fractures. IX COTESP (Brazilian American Congress of Orthopaedic Surgery), São Palo, Brazil, June 2001. Cole PA. Ankle Fractures: Tricks and Hints. IX COTESP (Brazilian American Congress of Orthopaedic Surgery), São Palo, Brazil, June 2001. Cole PA. Percutaneous Fixation of Pelvic Fractures . IX COTESP (Brazilian American Congress of Orthopaedic Surgery), São Palo, Brazil, June 2001. Cole PA. Early Resection of Heterotopic Ossification After Hip Injuries. IX COTESP (Brazilian American Congress of Orthopaedic Surgery), São Palo, Brazil, June 2001. Cole PA. The Polytrauma Patient-Timing of Fixation. Orthopaedic Trauma Lectures, AO/ASIF Advanced Course for Orthopaedic Surgeons, Lima, Perú, February 2001. Cole PA. Percutaneous Fixation of Pelvic Ring Fractures. Orthopaedic Trauma Lectures, AO/ASIF Advanced Course for Orthopaedic Surgeons, Lima, Perú, February 2001. Cole PA. Open Fractures-Problems with the Soft Tissues. Orthopaedic Trauma Lectures, AO/ASIF Advanced Course for Orthopaedic Surgeons, Lima, Perú, February 2001. Cole PA. The Kocher Langenbeck Approach for Posterior Wall Acetabular Fractures. Orthopaedic Trauma Lectures, AO/ASIF Advanced Course for Orthopaedic Surgeons, Lima, Perú, February 2001. Cole PA. Allograft Endosteal Plating for Recalcitrant Nonunions. Orthopaedic Trauma Lectures, AO/ASIF Advanced Course for Orthopaedic Surgeons, Lima, Perú, February 2001. Cole PA. Diaphyseal Fractures. Orthopaedic Trauma Lectures, AO/ASIF Basic Course for Orthopaedic Surgeons, Lima, Perú, September 2000. Cole PA. Treatment of Supracondylar Humerus Fractures. Orthopaedic Trauma Lectures, AO/ASIF Basic Course for Orthopaedic Surgeons, Lima, Perú, September 2000. Cole PA. Treatment of Distal Femur Fractures. Orthopaedic Trauma Lectures, AO/ASIF Basic Course for Orthopaedic Surgeons, Lima, Perú, September 2000. Cole PA. Proximal Tibia Fractures. Orthopaedic Trauma Lectures, AO/ASIF Basic Course for Orthopaedic Surgeons, Lima, Perú, September 2000. Cole PA. Biology vs. Mechanics: Bone Response to the Fracture. Orthopaedic Trauma Lectures, AO/ASIF Advanced Course, Caracas, Venezuela, May 1999. Cole PA. Has Plating of Shaft Fractures Become Obsolete? Orthopaedic Trauma Lectures, AO/ASIF Advanced Course, Caracas, Venezuela, May 1999. Cole PA. Clinical Experience with the LISS. Orthopaedic Trauma Lectures, AO/ASIF Advanced Course, Caracas, Venezuela, May 1999. Cole PA. Pilon and Complex Ankle Fractures: Tricks and Hints. Orthopaedic Trauma Lectures, AO/ASIF Advanced Course, Caracas, Venezuela, May 1999. Cole PA. Floating Joint Injuries. Orthopaedic Trauma Lectures, AO/ASIF Advanced Course, Caracas, Venezuela, May 1999. Cole PA. Fractures in Osteopenic Bone: How to Obtain Fixation. Orthopaedic Trauma Lectures, AO/ASIF Advanced Course, Caracas, Venezuela, May 1999. Cole PA. Biology vs. Mechanics: Bone Response to the Fracture. Orthopaedic Trauma Lectures, AO/ASIF Basic Course. Caracas, Venezuela. May 1999. Cole PA. Basic Principles of the Treatment of Articular Fractures. Orthopaedic Trauma Lectures, AO/ASIF Basic Course. Caracas, Venezuela. May 1999. Cole PA. Fractures in Osteopenic Bone. Orthopaedic Trauma Lectures, AO/ASIF Basic Course. Caracas, Venezuela. May 1999. Cole PA. How to Obtain Fixation. Orthopaedic Trauma Lectures, AO/ASIF Basic Course. Caracas, Venezuela. May 1999. Kregor PJ, Cole PA. The Jackson Tibia LISS Project: Early Experience With the Less Invasive Stabilization System for the Tibia. European-American LISS Consortium. Zurich, Switzerland. March 1999. Kregor PJ, Cole PA. The Jackson Femoral LISS Project: Early Experience With the Less Invasive Stabilization System for the Tibia. European-American LISS Consortium. Zurich, Switzerland. March 1999. Cole, PA. Birth of an Amazon Mission: Orienting Dreams with an Academic Practice. Clifford Turen, MD Memorial Trauma Conference, Department of Orthopaedic Surgery, University of Pennsylvania Medical Center. Philadelphia, PA, May 2016. Cole, PA. 15 Years in the Little Engine: A Problem Solving Tour of an Orthopaedic Trauma Practice. Clifford Turen, MD Memorial Trauma Conference, Department of Orthopaedic Surgery, University of Pennsylvania Medical Center. Philadelphia, PA, May 2016. Cole, PA. Anatomic Surgical Skills Lab -Case Based Decision Making to Approach the Broken Scapula. Clifford Turen, MD Memorial Trauma Conference, Department of Orthopaedic Surgery, University of Pennsylvania Medical Center. Philadelphia, PA, May 2016. Cole, PA. Instructional Course Lecture: Operative versus non-operative treatment of common upper extremity injuries: An evidence-based approach. American Academy Orthopaedic Surgeons Annual Meeting, Las Vegas, Nevada, March 2015. Cole, PA Lower Extremity – Articular Fractures. Moderator, AONA Principles of Fracture Management Residents Course, Atlanta, GA October 2014. Cole, PA Violations of AO Principles: How not to do AO, Lecture. AONA Principles of Fracture Management Residents Course, Atlanta, GA October 2014. Cole, PA Practical Exercise VIII: (Fractures of the Hip); A. Compression Hip Screw Fixation; B. Cannulated Screw Fixation Lecture. AONA Principles of Fracture Management Residents Course, Atlanta, GA October 2014. Cole, PA New Concepts in Programmatic Management of Fractures in the Elderly. Mississippi Orthopedic Society Annual Meeting, Oxford, MS May 2014. Cole, PA Clavicle Problems – From Simple to Crazy. Mississippi Orthopedic Society Annual Meeting, Oxford, MS May 2014. Cole, PA Development of an Orthopaedic Mission in the Peruvian Amazon. Mississippi Orthopedic Society Annual Meeting, Oxford, MS May 2014. Cole, PA Posterior Approaches to the Scapula. American Academy of Orthopaedic Surgery Annual Meeting Specialty Day Presentation. New Orleans, LA March 2014. Cole PA The Operative versus Non-Operative Treatment of Common Upper Extremity Injuries: What does Evidence-Based Medicine Tell Us: Fractures of the Scapula, OTA Annual Meeting, Phoenix, AZ, October 2013. Cole PA Curbside Consults. Trauma Education, the Next Generation. National Thoracic Trauma Technology Symposium, Minneapolis, MN., September 2013. Cole PA. Fractures and Dislocations of the Midfoot: Lisfranc and Chopart injuries, Moderator, AAOS Annual Meeting, Chicago, IL, March 2013. Cole, PA. BREAKOUT SESSION – Why does my Approach to Fracture Care Change for the Very Elderly Patient? Bi-Annual Geriatric Trauma Symposium, St. Paul, MN, November 2012. Cole, PA. Acetabular Fractures – The Other Elderly Hip Fracture, Open Reduction Internal Fixation/Minimally Invasive Surgery, Bi-Annual Geriatric Trauma Symposium,St Paul, MN, November 2012. Cole PA. Upper Extremity, Moderator, AONA Co-Management of the Geriatric Fracture Patient and Aging Spine, San Diego, October 2012. 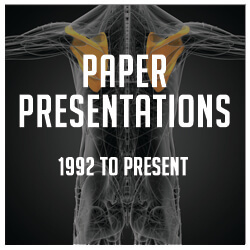 Cole PA. Case Presentations – Scapula Fracture Injuries and Treatment. Orthopaedic Trauma Association Annual Meeting, Minneapolis, MN, October 2012. Cole PA. What you Need to Know About Scapula Fractures. 2012 SIGN Conference: Treatment of Difficult Fractures Around the World. Richland, WA, September 2012. Cole PA. Treatment of Proximal Humerus Fractures. 2012 SIGN Conference: Treatment of Difficult Fractures Around the World. Richland, WA, September 2012. Cole PA. Panelist: Scapula and clavicle fractures. Panel discussion with cases. 4th Annual Delaware Valley Orthopaedic Trauma Symposium, Upper Extremity Fracture Management: Tips & Techniques. Philedelphia, PA, June 2012. Cole PA. Pitfalls and tips for ORIF of proximal humerus fractures. 4th Annual Delaware Valley Orthopaedic Trauma Symposium, Upper Extremity Fracture Management: Tips & Techniques. Philedelphia, PA, June 2012. Cole PA. Panelist: Complex upper extremity injuries: Panel discussion with cases, 4th Annual Delaware Valley Orthopaedic Trauma Symposium: Upper Extremity Management: Tips & Solutions. Philadelphia, PA, June 2012. Cole PA. Scapula and clavicle fractures: When and how to fix scapula fractures, Guest faculty; Panel discussion with cases, panelist. 4th Annual Delaware Valley Orthopaedic Trauma Symposium: Upper Extremity Management: Tips & Solutions. Philadelphia, PA, June 2012. Cole PA. Discussion Group Leader: Scapula and clavicle fracture controversies. 4th Annual Delaware Valley Orthopaedic Trauma Symposium: Upper Extremity Management: Tips & Solutions. Philadelphia, PA, June 2012. Cole PA. Panelist: Improving your results with proximal humerus fractures: Pitfalls and tips for ORIF of proximal humerus fractures. 4th Annual Delaware Valley Orthopaedic Trauma Symposium: Upper Extremity Management: Tips & Solutions. Philadelphia, PA, June 2012. Cole PA. Moderator: Fractures and Dislocations of the Midfoot: Lisfranc and Chopart Injuries. Instructional Course Lecture: American Academy of Orthopaedic Surgeons Annual Meeting, San Francisco, CA, February 2012. Cole PA. Complex Trauma to Shoulder Girdle Including Clavicle, Scapula and Proximal Humerus: Current Concepts in Diagnosis and Treatment. Instructional Course Lecture: American Academy of Orthopaedic Surgeons Annual Meeting, San Francisco, CA, February 2012. Cole PA. Evolving Trends in Diagnosis and Management of Scapula Fractures. Detroit Academy of Orthopaedic Surgeons Meeting, Detroit, MI, January 2012. Cole PA. A Better Understanding of Operative Scapula Fractures – Indications and Techniques. 41st Annual Orthopaedic and Trauma Seminar, Minneapolis, MN, November 2011. Cole PA. Panelist: Trauma of the Foot, Case Presentation. 41st Annual Orthopaedic and Trauma Seminar, Minneapolis, MN, November 2011. Cole PA. Talar Fractures – Two Incision Approach. 41st Annual Orthopaedic and Trauma Seminar, Minneapolis, MN, November 2011. Cole PA. The Diagnosis and Treatment of Subtle and Spectacular Lisfranc Injuries. 41st Annual Orthopaedic and Trauma Seminar, Minneapolis, MN, November 2011. 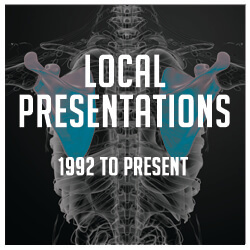 Cole PA. Case Presentations – Scapula Fracture Injuries and Treatment. Orthopaedic Trauma Association Annual Meeting, San Antonio, TX, October 2011. Cole PA. Femoral Neck Fractures in Kids. Second Bi-Annual Pediatric Trauma Summit, St. Paul, MN, September 2011. Cole PA. Technology Symposium. Second Bi-Annual Pediatric Trauma Summit, St. Paul, MN, September 2011. Cole PA. Moderator: Femoral and Tibial Shaft Fractures. Second Bi-Annual Pediatric Trauma Summit, St. Paul, MN, September 2011. Cole PA. Use of Minimally Invasive Plating of Shaft Fractures. Second Bi-Annual Pediatric Trauma Summit, St. Paul, MN, September 2011. Cole PA. Hand and Upper Extremity Trauma. The Summit in Seattle: Seattle, WA, July 2011. Cole PA. Minnesota Orthopaedic Society Annual Meeting, Minneapolis, MN, April 2011. Cole PA. Evolving Novel Approaches Using Anterior Subcutaneous Minimally Invasive Fixation for Unstable Pelvic Ring Injuries. St. Luke’s Episcopal Hospital 47th Annual Orthopaedic Symposium. Houston, TX, April 2011. Cole PA. Diminishing Surgical Footprints – An Advanced Approach to Orthopaedic Trauma Emerging Techniques for Minimally Invasive Fixators of the Anterior Pelvic Ring, AO Minimally Invasive Osteosynthesis (MIO) Course, Miami, FL, April 2011. Cole PA. Panelist: Diminishing Surgical Footprints: Case Controversies – Tibia. AO Minimally Invasive Osteosynthesis (MIO) Course, Miami, FL, April 2011. Cole PA. Diminishing Surgical Footprints: MIO Where You Have Never Seen It! AO Minimally Invasive Osteosynthesis (MIO) Course, Miami, FL, April 2011. Cole PA. Moderator: Fractures and Dislocations of the Midfoot: Lisfranc and Chopart Injuries. Instructional Course Lecture: American Academy of Orthopaedic Surgeons Annual Meeting, San Diego, CA. February 2011. Cole PA. Introduction. Fractures and Dislocations of the Midfoot: Lisfranc and Chopart Injuries. Instructional Course Lecture: American Academy of Orthopaedic Surgeons Annual Meeting, San Diego, CA. February 2011. Cole PA. Complex Trauma to Shoulder Girdle including Clavicle, Scapula and Proximal Humerus – Current Concepts in Diagnosis & Treatment: Instructional Course Lecture: American Academy of Orthopaedic Surgeons Annual Meeting, San Diego, CA. February 2011. Cole PA. Moderator: Ankle and Foot Fracture in the Elderly. Geriatric Orthopaedic Fracture Conference. St. Paul, MN. December 2010. Cole PA. New Technologies and Implants for the Geriatric Fracture Patient. Geriatric Orthopaedic Fracture Conference. St. Paul, MN, December 2010. Cole PA. Advanced Pelvic/Acetabular Fractures in the Elderly. AO Co-Managed Care of the Geriatric Fracture Patient – A Multidisciplinary Approach. Scottsdale, AZ. September 2010. Cole PA. Complex Proximal Tibia Fractures in the Elderly. AO Co-Managed Care of the Geriatric Fracture Patient – A Multidisciplinary Approach. Scottsdale, AZ. September 2010. Cole PA. Discussion Group Leader: AO Co-Managed Care of the Geriatric Fracture Patient – A Multidisciplinary Approach. Scottsdale, AZ. September 2010. Cole PA. Minimally Invasive Surgery: Is it Applicable to Geriatric Patients? AO Co-Managed Care of the Geriatric Fracture Patient – A Multidisciplinary Approach. Scottsdale, AZ. September 2010. Cole PA. Moderator: Module IV: Proximal Femur. AO Co-Managed Care of the Geriatric Fracture Patient – A Multidisciplinary Approach. Scottsdale, AZ. September 2010. Cole PA. Relative Stability: Locked Plating – Biology, Biomechanics, Clinical Applications. AO Basic Principles and Techniques of Operative Fracture Management. Minneapolis, MN. August 2010. Cole PA. Moderator: Lower Extremity Articular Fractures. AO Basic Principles and Techniques of Operative Fracture Management. Minneapolis, MN. August 2010. Cole PA. Violations of AO Principles: How Not to do AO. Principles of Fracture Management for Residents. Minneapolis, MN, August 2010. Cole PA. Submuscular MIO Treatment of Tibial Pilon Fractures. Trauma Summit in Seattle. Seattle, WA. July 2010. Cole PA. Complex Trauma to Shoulder Girdle including Clavicle, Scapula and Proximal Humerus – Current Concepts in Diagnosis & Treatment: Instructional Course Lecture. American Academy of Orthopaedic Surgeons Annual Meeting. New Orleans, LA, March 2010. Cole PA. Clavicle and Scapula Fracture Problems: Functional Assessment & Current Treatment Strategies: Instructional Course Lecture. American Academy of Orthopaedic Surgeons Annual Meeting. New Orleans, LA, March 2010. Cole PA. Panelist: What would the Experts Do? 39th Annual Orthopaedic and Trauma Seminar. Minneapolis, MN, November 2009. Cole PA. Surgical Tips for Tibial Pilon Fractures. 39th Annual Orthopaedic and Trauma Seminar. Minneapolis, MN, November 2009. Cole PA. Fixing the Fibula: Is it that Easy? Transverse Fracture, Oblique Fracture, Comminuted and Shortened, Osteoporosis. 39th Annual Orthopaedic and Trauma Seminar. Minneapolis, MN, November 2009. Cole PA. Moderator: Mid-forefoot. Mini Symposia. Orthopaedic Trauma Association Annual Meeting. San Diego, CA, October 2009. Cole PA.Technique Video: Minimally Invasive Osteosynthesis of a Femur Fracture. Pediatric Trauma Summit. St. Paul, MN, September 2009. Cole PA. Pediatric Calcaneus Fractures. Pediatric Trauma Summit. St. Paul, MN, September 2009. Cole PA. Panelist: Controversial Case Discussion: Complex Case Management. Pediatric Trauma Summit. St. Paul, MN, September 2009. Cole PA.Complex Case Management. Lower Extremity Physeal Injuries. Pediatric Trauma Summit. St. Paul, MN, September 2009. Cole PA. Tibial Plateau Fractures Management Pearls and Long Term Results. 2009 Orthopaedic Alumni Conference. Hamot Medical Center. Erie, PA, August 2009. Cole PA. Midfoot Fractures – The Stealth Injury. 2009 Orthopaedic Alumni Conference. Hamot Medical Center. Erie, PA, August 2009. Cole PA. Case Presentation and Discussion: Pelvic Fracture: Emphasizing Resuscitation. AAOS/OTA Pelvic and Acetabular Fractures: Advanced Concepts, Details and Improved Techniques. Rosemont, IL, April 2009. Cole PA. Moderator: Pelvic Fractures: Definitive Care. AAOS/OTA Pelvic and Acetabular Fractures: Advanced Concepts, Details and Improved Techniques. Rosemont, IL, April 2009. Cole PA. Pelvic and Bony Ligamentous Anatomy. AAOS/OTA Pelvic and Acetabular Fractures: Advanced Concepts, Details and Improved Techniques. Rosemont, IL, April 2009. Cole PA. Case Analysis and Discussion. AO Minimally Invasive Osteosynthesis Course. Las Vegas, NV, March 2009. Cole PA. Moderator: The Brief History of Pelvic MIO Development and Why I pursued Percutaneous. AO Minimally Invasive Osteosynthesis Course. Las Vegas, NV, March 2009. Cole PA. Imaging and Radiation Risk to the Surgeon. AO Minimally Invasive Osteosynthesis Course. Las Vegas, NV, March 2009. Cole PA. Moderator: Basic Principals and Reduction Techniques. AO Minimally Invasive Osteosynthesis Course. Las Vegas, NV, March 2009. Cole PA. Lateral Malleolus with Displacement but without Subluxation Operative Treatment is Better. Fracture Management Controversies. American Academy of Orthopaedic Surgeons Annual Meeting, OTA Specialty Day. Las Vegas, NV, February 2009. Cole PA. Posterior Surgical Approaches to the Glenohumeral Joint, American Academy of Orthopaedic Surgeons Annual Meeting – ASES Specialty Day. Las Vegas, NV, February 2009. Cole PA. Moderator: Clavicle. AOTK Problem Fracture Symposium. Fort Lauderdale, FL, January 2009. Cole PA. Distal Tibia/Pilon. AOTK Problem Fracture Symposium. Fort Lauderdale, FL, January 2009. Cole PA. Syndesmotic Injuries. Hennepin County Medical Center 38th Annual Orthopaedic and Trauma Seminar. Minneapolis, MN, November 2008. Cole PA. “Minimally Invasive Osteosynthesis in the Elderly.” 3rd Annual Geriatric Trauma Summit. St. Paul, MN, October 2008. Cole PA. Moderator: Femoral Neck Fractures: Which One Should Still be Fixed and When Do You Use What? 3rd Annual Geriatric Trauma Summit. St. Paul, MN, October 2008. Cole PA. Orthopaedic Emergencies and Urgencies. 32nd Annual Meeting of the American Society of Orthopaedic Physicians Assistants/26th Annual clinical Symposium of the National Association of Orthopaedic Technologists. Minneapolis, MN, June 2008. Cole PA. Jungle Cases: An Orthopaedic Adventure. 12th Leonard Peltier, MD Orthopaedic Lectureship. Kansas City University. Kansas City, MO, June 2008. Cole PA.The Scapula: A New Frontier. 12th Leonard Peltier, MD Orthopaedic Lectureship. Kansas City University. Kansas City, MO, June 2008. Cole PA. Cutting Edge on Diagnosis and Treatment of Scapula and Clavicle Fractures. Southern Orthopaedic Association Annual Meeting. Hot Springs, VA. June 2008. Cole PA. Clavicle Fractures. Advanced Techniques in Shoulder Arthroscopy, Arthroplasty, and Fractures. Rochester, MN, May 2008. Cole PA. Scapula Fractures. Advanced Techniques in Shoulder Arthroscopy, Arthroplasty, and Fractures. Rochester, MN, May 2008. Cole PA. Treatment of Humeral Shaft and Elbow Fractures: What’s the Evidence? American Academy of Orthopaedic Surgeons 75th Annual Meeting. San Francisco, CA, March 2008. Cole PA. Pitfalls and Mistakes Leading to Failures in Fracture Fixation. Treatment Option for Difficult Fractures: Advanced Technology Symposium. Little Rock, AR, January 2008. Cole PA. The Calcaneus Should be Fixed. Hennepin County Medical Center 37th Annual Orthopaedic and Trauma Seminar. Minneapolis, MN, October 2007. Cole PA. Isolated Fracture of the Medial Malleolus: Does It Need to be Fixed? Hennepin County Medical Center 37th Annual Orthopaedic and Trauma Seminar. Minneapolis, MN, October 2007. Cole PA. Talus Fractures: current Operative Technique Video. Hennepin County Medical Center 37th Annual Orthopaedic and Trauma Seminar. Minneapolis, MN, October 2007. Cole PA. Moderator: Femoral Shaft and Distal Femur, Proximal and Distal Tibia, Proximal and Humeral Shaft, Pelvis and Acetabulum. AO Minimally Invasive Osteosynthesis Course. Minneapolis, MN, September 2007. Cole PA. Intraoperative radiation: risks and Hazards. AO Minimally Invasive Osteosynthesis Course. Minneapolis, MN, September 2007. Cole PA. Pilon Injuries with Severe Soft Tissue Injuries. Management of the Patient with Polytrauma. Pittsburgh, PA, September 2007. Cole PA. Pelvic Ring Injuries Overview. Management of the Patient with Polytrauma. Pittsburgh, PA, September 2007. Cole PA. Proximal Humerus Fracture Fixation: Pushing the limits. The 2nd Annual Geriatric Trauma Summit. Minneapolis, MN, September 2007. Cole PA. Relative Stability: The Locking Compression Plate – Biology, Biomechanics, Clinical Applications. AO North America Basic Principles and Techniques of Operative Fracture Management Course for Residents. Atlanta, GA,May 2007. Cole PA. Moderator: Principles – Relative Stability. AO North America Basic Principles and Techniques of Operative Fracture Management Course for Residents. Atlanta, GA, May 2007. Cole PA. Overview of the AO Foundation. AO North America Basic Principles and Techniques of Operative Fracture Management Course for Residents. Atlanta, GA, May 2007. Cole PA. Pelvic Bony and Ligamentous Anatomy. American Academy of Orthopaedic Surgeons/Orthopaedic Trauma Association – Pelvic and Acetabular Fractures: Advanced Concepts, Details, and Improved Techniques. Rosemont, IL, May 2007. Cole PA. Panelist: Case Presentations and Discussion – Pelvic Fracture. American Academy of Orthopaedic Surgeons/Orthopaedic Trauma Association – Pelvic and Acetabular Fractures: Advanced Concepts, Details, and Improved Techniques. Rosemont, IL, May 2007. Cole PA. Moderator: Minimally Invasive Osteosynthesis of a Tibial Shaft Fracture. Treatment Options for Difficult Fractures: Advanced Technology Symposium. Minneapolis, MN, February 2007. Cole PA. Moderator: Anteroleteral Distal Tibia. Treatment Options for Difficult Fractures: Advanced Technology Symposium. Minneapolis, MN, February 2007. Cole PA. Moderator: Lateral Parapatellar. Treatment Options for Difficult Fractures: Advanced Technology Symposium. Minneapolis, MN, February 2007. Cole PA Panelist: Recalcitrant Nonunion. Treatment Options for Difficult Fractures: Advanced Technology Symposium. Minneapolis, MN, February 2007. Cole PA.Tricks and Tips to Aid Fracture Reduction. American Academy of Orthopaedic Surgeons Annual Meeting. San Diego, CA. February 2007. Cole PA. Minimally Invasive Orthopaedic Traumatology: New Techniques and Technology. American Academy of Orthopaedic Surgeons Annual Meeting. San Diego, CA. February 2007. Cole PA. Treatment of Humeral Shaft and Elbow Fractures: What’s the Evidence? American Academy of Orthopaedic Surgeons Annual Meeting. San Diego, CA. February 2007. Cole PA. Moderator: Pelvic and Acetabular Podium Presentations. American Academy of Orthopaedic Surgeons Annual Meeting. San Diego, CA. February 2007. Cole PA. Talar Fractures. 36th Annual Orthopaedic and Trauma Seminar. Minneapolis, MN. November 2006. Cole PA. Calcaneal Fractures: ORIF is the Way to Go. 36th Annual Orthopaedic and Trauma Seminar. Minneapolis, MN. November 2006. Cole PA. Management of Talus Fractures. Zimmer Resident Trauma Course. Newport, RI, November 2006. Cole PA. Scapula Fractures: ORIF Indications and Techniques. Zimmer Resident Trauma Course. Newport, RI, November 2006. Cole PA. Biology of Minimally Invasive Plate Osteosynthesis. Orthopaedic Trauma Association 22nd Annual Meeting: Basic Science Forum. Phoenix, AZ. October 2006. Cole PA. Moderator: Team Approach to the Badly Injured Geriatric Trauma Patient: What’s the Difference in the Elderly Patient? The 1st Annual Geriatric Trauma Summit. St. Paul, MN. September 2006. Cole PA. Moderator: Extremity Fracture Challenges: Common Fractures, Important Care. Principles. The 1st Annual Geriatric Trauma Summit. St. Paul, MN. September 2006. Cole PA. Moderator: Geriatric Orthopaedic Trauma Pearls. The 1st Annual Geriatric Trauma Summit. St. Paul, MN. September 2006. Cole PA. Treatment of Ankle Fractures in the Elderly. The 1st Annual Geriatric Trauma Summit. St. Paul, MN. September 2006. Cole PA. Pelvic and Acetabular Fracture Care in the Elderly. The 1st Annual Geriatric Trauma Summit. St. Paul, MN. September 2006. Cole PA. Moderator: Minimally Invasive Surgery: Is this the Future? AO/ASIF Advanced Principles and Techniques of Operative Fracture Management. Marco Island, FL, June 2006. Cole PA. Debater: IM Fixation for Subtrochanteric Fracture. AO/ASIF Advanced Principles and Techniques of Operative Fracture Management. Marco Island, FL, June 2006. Cole PA Workshop Instructor: Proximal Femoral Fractures. AO/ASIF Advanced Principles and Techniques of Operative Fracture Management. Marco Island, FL, June 2006. Cole PA. Scapula and Clavicle Fractures. AO/ASIF Advanced Principles and Techniques of Operative Fracture Management. Marco Island, FL, June 2006. Cole PA. Development of a Jungle Mission. Annual Meeting of the Minnesota Orthopaedic Society. Minneapolis, MN, May 2006. Cole PA. My Approach: Treatment of Femoral Neck Fractures in the Pediatric and Young Patient. 6th Annual Arthritis and Arthroplasty Course: Hip, Knee, Shoulder and Foot and Ankle. Minneapolis, MN, May 2006. Cole PA. Hip Fractures/Biologic Fixation/Cannulated Screws/DHS/IM Devices. 6th Annual Arthritis and Arthroplasty Course: Hip, Knee, Shoulder and Foot and Ankle. Minneapolis, MN, May 2006. Cole PA. Submuscular Plating Techniques for the Distal Femur. Minimally Invasive Traumatology: New Techniques and Technology. Instructional Course Lecture at the 73rd Annual Meeting of the American Academy of Orthopaedic Surgeons. Chicago, IL, March 2006. Cole PA. Minimally Invasive Fracture Fixation for the Shoulder Girdle. Minimally Invasive Traumatology: New Techniques and Technology. Instructional Course Lecture at the 73rd Annual Meeting of the American Academy of Orthopaedic Surgeons. Chicago, IL, March 2006. Cole PA. Bone Healing. AO Basic Principles and Techniques of Operative Fracture Management Course for Residents. St. Louis, MO, March 2006. Cole PA. Pilon Fractures. AO Basic Principles and Techniques of Operative Fracture Management Course for Residents. St. Louis, MO, March 2006. Cole PA. Moderator: Relative Stability; Bridge Plating – Application of Locking Compression Plate and Evaluation of Stability. AO Basic Principles and Techniques of Operative Fracture Management Course for Residents. St. Louis, MO, March 2006. Cole PA. Moderator: Preoperative Planning – Forearm Model. AO Basic Principles and Techniques of Operative Fracture Management Course for Residents. St. Louis, MO, March 2006. Cole PA. Pilon Fractures: Staged Protocol. Orthopaedic Trauma: Concepts to Controversies. Copper Mountain, CO, February 2006. Cole PA. Glenoid and Scapular Fractures. Orthopaedic Trauma: Concepts to Controversies. Copper Mountain, CO, February 2006. Cole PA. Clavicle Fractures: Non-Operative and Operative Management. Orthopaedic Trauma: Concepts to Controversies. Copper Mountain, CO, February 2006. Cole PA. Moderator: Bone Graft Substitutes. Treatment Options for Difficult Fractures: Advanced Technology Symposium. Minneapolis, MN, February 2006. Cole PA. Moderator: Biomechanics of IM Nailing. Treatment Options for Difficult Fractures: Advanced Technology Symposium. Minneapolis, MN, February 2006. Cole PA. Moderator: Internal Fixation-Lower Extremity. Treatment Options for Difficult Fractures: Advanced Technology Symposium. Minneapolis, MN, February 2006. Cole PA. Moderator: Advances in IM Reaming. Treatment Options for Difficult Fractures: Advanced Technology Symposium. Minneapolis, MN, February 2006. Cole PA. Moderator: Principles of Locking Compression Plates. Treatment Options for Difficult Fractures: Advanced Technology Symposium. Minneapolis, MN, February 2006. Cole PA. Moderator: Internal Fixation-Upper Extremity. Treatment Options for Difficult Fractures: Advanced Technology Symposium. Minneapolis, MN, February 2006. Cole PA. Moderator: New Treatment Options for Periprosthetic Fractures of the Femur. Treatment Options for Difficult Fractures: Advanced Technology Symposium. Minneapolis, MN, February 2006. Cole PA. Case Discussion on Bone Defect Cases. Treatment Options for Difficult Fractures: Advanced Technology Symposium. Minneapolis, MN, February 2006. Cole PA. Talar Fractures: What’s New. 35th Annual Orthopaedic and Trauma Seminar. Minneapolis, MN, November 2005. Cole PA. Pelvic Bony and Ligamentous Anatomy. American Academy of Orthopaedic Surgeons – Fractures of the Pelvis and Acetabulum: Current Comprehensive Management. Rosemont, IL, May 2005. Cole PA. Panelist: Pelvic Fracture (Emphasizing Resuscitation). American Academy of Orthopaedic Surgeons – Fractures of the Pelvis and Acetabulum: Current Comprehensive Management. Rosemont, IL, May 2005. Cole PA. Proximal Humeral Fractures: Surgical Options and Outcomes. Orthopaedic Trauma Association – Orthopaedic Fracture Management and Orthopaedic Emergencies. St. Louis, MO, May 2005. Cole PA. Panelist: Upper Extremity Articular Fractures. Orthopaedic Trauma Association – Orthopaedic Fracture Management and Orthopaedic Emergencies. St. Louis, MO, May 2005. Cole PA. ORIF Scapula Fractures: Is There a Role?. Orthopaedic Trauma Association – Resident Regional Fracture Update. Rosemont, IL, April 2005. Cole PA. Supracondylar Femur Fractures: To Plate or Nail? Orthopaedic Trauma Association – Resident Regional Fracture Update. Rosemont, IL, April 2005. Cole PA. Staged Reconstruction of Pilon Fractures: Rationale for Approach. Orthopaedic Trauma Association – Resident Regional Fracture Update. Rosemont, IL, April 2005. Cole PA. Frontline Management of Pelvic Injury. Orthopaedic Trauma Association – Resident Regional Fracture Update. Rosemont, IL, April 2005. Cole PA. LisFranc Injuries. Orthopaedic Trauma: Concepts to Controversies. Copper Mountain, CO, March 2005. Cole PA. Debater: Humeral Shaft Fractures: Plate vs Intramedullary Nail – Position for Plating. Orthopaedic Trauma: Concepts to Controversies. Copper Mountain, CO, March 2005. Cole PA. Clavicle Fractures: Nonoperative and Operative Management. Orthopaedic Trauma: Concepts to Controversies. Copper Mountain, CO, March 2005. Cole PA. Panelist: Treatment of Proximal Tibial Fractures. Instructional Course 401: Minimally Invasive Orthopaedic Traumatology: New Techniques and Technology. 72nd Annual Meeting of the American Academy of Orthopaedic Surgeons. Washington, DC. February 2005. Cole PA. Scapula Fractures: Treat Operatively – Indications, Techniques, Outcomes, Complications. 2nd Annual Advanced Surgical Skills Course: Upper Extremity Trauma. Orthopaedic Trauma Association. 72nd Annual Meeting of the American Academy of Orthopaedic Surgeons. Washington, DC. February 2005. Cole PA. Debater: Best Treatment for a 13-Year-Old Male with Femoral Shaft Fracture – Position for Plating. Pediatric Orthopaedic Society of North America Specialty Day at the 72nd Annual Meeting of the American Academy of Orthopaedic Surgeons. Washington, DC. February 2005. Cole PA. Moderator: New Treatment Options for Periprosthetic Fractures of the Femur. Treatment Options for Difficult Fractures: A New Technology Symposium. Upstate Medical University of New York and Synthes. Minneapolis, MN, February 2005. Cole PA. Moderator: Internal Fixation of the Upper Extremity. Treatment Options for Difficult Fractures: A New Technology Symposium. Upstate Medical University of New York and Synthes. Minneapolis, MN, February 2005. Cole PA. Moderator: The Femur. 19th Annual Vail Orthopaedic Symposium Trauma Update. Vail, CO, January 2005. Cole PA. Techniques of Open Reduction in Femoral Neck Fractures. 19th Annual Vail Orthopaedic Symposium Trauma Update. Vail, CO, January 2005. Cole PA. Current Management of Scapula Injury. 19th Annual Vail Orthopaedic Symposium Trauma Update. Vail, CO, January 2005. Cole PA. Debater: Treatment of Supracondylar Femur Fractures. Position -Minimally Invasive Fixation. HCMC 34th Annual Orthopaedic and Trauma Seminar. Minneapolis, MN, November 2004. Cole PA. Locked Plating in Periprosthetic Fractures. HCMC 34th Annual Orthopaedic and Trauma Seminar. Minneapolis, MN, November 2004. Cole PA. ORIF of Both Bone Forearm Fractures and Olecranon Fracture. 2004 Trauma Residents Course. Newport, RI, November 2004. Cole PA. Talus Fractures. 2004 Trauma Residents Course. Newport, RI, November 2004. Cole PA. Open Fracture with Compartment Syndrome. 2004 Trauma Residents Course. Newport, RI, November 2004. Cole PA. Femur Fractures – Neck and Shaft. 2004 Trauma Residents Course. Newport, RI, November 2004. Cole PA. Scapula and Clavicle – ORIF Indications and Techniques. 2004 Trauma Residents Course. Newport, RI, November 2004. Cole PA. Session Moderator: Session II-Tibia. 20th Annual Meeting of the Orthopaedic Trauma Association. Fort Lauderdale, FL, October 2004. Cole PA. Internal Fixation of Tibial Pilon Fractures. 2004 Residents Basic Fracture Course. Fort Lauderdale, FL, October 2004. Cole PA. Humeral Shaft Fractures: Plate vs. Intramedullary Nail Debate Fixed Angle Implants-Clinical Applications. 3rd Annual Omaha Trauma Update. Omaha, NE, September 2004. Cole PA. Talus. 3rd Annual Omaha Trauma Update. Omaha, NE, September 2004. Cole PA. Distal Tibia. 3rd Annual Omaha Trauma Update. Omaha, NE, September 2004. Cole PA. Distal Femur. 3rd Annual Omaha Trauma Update. Omaha, NE, September 2004. Cole PA. Welcome Comments: The AO and My Professional “Circle of Life”. AO/ASIF Principles of Fracture Management Course for Residents. Minneapolis, MN, August 2004. Cole PA. Development of a Tibia Pilon Map. Harborview Alumni Scientific Symposium 2004. Seattle, WA, July 2004. Cole PA. Panelist: Articular Fractures, Is the Fate Predetermined? Harborview Scientific Symposium 2004. Seattle, WA, July 2004. Cole PA. New Insights to Managements of the Tibia Pilon. Zimmer Trauma Symposium. Bismarck, North Dakota. June 2004. Cole PA. Which Scapula Fractures Benefit from Operative Management? Zimmer Trauma Symposium. Bismarck, ND, June 2004. Cole PA. Treatment of Schatzker V & VI Tibia Plateau Fractures. 22nd Annual Meeting of the Mid-America Orthopaedic Society . Palm Springs, CA, April 2004. Cole PA. Internal Fixation of Scapula Fractures. 18th Annual Vail Orthopaedic Symposium: Trauma Update. Vail, CO, January 2004. Cole PA. Treatment of Femoral Neck Fractures. 18th Annual Vail Orthopaedic Symposium: Trauma Update. Vail, CO, January 2004. Cole PA. Tibia Pilon Fractures: Role of External Fixation. HCMC Annual Orthopaedic Trauma Seminar. Minneapolis, MN, November 2003. Cole PA. Post Traumatic Ankle Fusions. HCMC Annual Orthopaedic Trauma Seminar. Minneapolis, MN, November 2003. Cole PA. Internal Fixation of Pilon Fractures. OTA Residents Fracture Course. Salt Lake City, UT, October 2003. Cole PA. Pilon Fractures: Classification, Soft Tissue Management, and External Fixation. Zimmer Pasadena Trauma Symposium. Pasadena, CA, September 2003. Cole PA. Treatment of Olecranon Fractures. Zimmer Pasadena Trauma Symposium. Pasadena, CA, September 2003. Cole PA. The Intertrochanteric and Subtrochanteric Femur Fractures. Zimmer Pasadena Trauma Symposium. Pasadena, CA, September 2003. Cole PA. Fractures of the Scapula Glenoid. 17th Annual Orthopaedic Trauma Symposium. Vail, CO, January 2003. Cole PA. Internal Fixation of Femoral Neck Fractures. 17th Annual Orthopaedic Trauma Symposium. Vail, CO, January 2003. Cole PA. Femoral Nailing from Above or Below? 17th Annual Orthopaedic Trauma Symposium. Vail, CO. January 2003. Cole PA. Pre-op Planning of a Both Bone Forearm. Lecture Laboratory Section. Zimmer Resident Education Course. Newport, RI, November 2002. Cole PA. Calcaneus Fractures: ORIF via Lateral and Combined Approaches. Zimmer Resident Education Course. Newport, RI, November 2002. Cole PA. Timing of Pelvic Fracture Fixation in Multiple Trauma. 32nd Annual Orthopaedic and Trauma Seminar. Hennepin County Medical Center. Minneapolis, MN, October 2002. Cole PA. Glenoid and Scapular Fractures: Radiographic Evaluation. 32nd Annual Orthopaedic and Trauma Seminar. Hennepin County Medical Center. Minneapolis, MN, October 2002. Cole PA. Distal Tibial & Tibial Pilon Fractures: Definitive Treatment with Plates. Orthopaedic Trauma Association’s Residents Basic Fracture Course. Toronto, Canada. October 2002. Cole PA. Panelist: Tibia/Ankle Case Controversies. Orthopaedic Trauma Association’s Residents Basic Fracture Course. Toronto, Canada. October 2002. Cole PA. Proximal Tibia Fractures: What’s the Problem? Submuscular Plating and Orthopaedic Trauma Association 2002 Annual Meeting. Toronto, Canada, October 2002. Cole PA. The Tibia LISS Clinical Trial. Orthopaedic Trauma Association 2002 Annual Meeting. Toronto, Canada, October 2002. Cole PA. Definitive Plate Fixation of Distal Tibia Fractures. Orthopaedic Trauma Association 2002 Annual Meeting. Toronto, Canada, October 2002. Cole PA. Femur & Tibia LISS – North American Experience. AO Locked Internal Fixator Symposium. San Diego, CA, August 2002. Cole PA. Femoral Diaphysis Fractures. AO/ASIF Principles of Fracture Management Course for Residents. Milwaukee, WI. July 2002. Cole PA. Recalcitrant Non-Unions: Endosteal Plating Treatment Options. The 5th Harborview ACE-Alumni Scientific Trauma Symposium. Seattle, WA, July 2002. Cole PA. Panelist: Primary versus Delayed Closure – Open Fractures. The 5th Harborview ACE-Alumni Scientific Trauma Symposium. Seattle, WA, July 2002. Cole PA. Management of Distal Humeral Fractures with Mini Fragment Fixation. Mississippi Orthopaedic Society. Jackson, MS, April 2002. Cole PA. Less Invasive Stabilization System. North American Experience. AO/ASIF Course Advanced Controversies in Fracture Care. Sun Valley, ID, March 2002. Cole PA. The Future of Minimally Invasive Surgery. AO/ASIF Course Advanced Controversies in Fracture Care. Sun Valley, ID, March 2002. Cole PA. Bone: Responses to Fracture and Implant. AO/ASIF Principles of Fracture Management for Residents. Los Angeles, CA, January2002. Cole PA. Relative Stability: Intramedullary Splints. AO/ASIF Principles of Fracture Management for Residents. Los Angeles, CA, January 2002. Cole PA. Role of the Less Invasive Stabilization System (L.I.S.S.) for the Treatment of Fractures About the Knee. Brown University-Rhode Island Hospital Orthopaedic Grand Rounds. Providence, RI, December 2001. Cole PA. Less Invasive Stabilization System–Technique or Technology? North American Traveling Fellowship. Boston University Medical Center. Boston, MA, October 2001. Cole PA. Less Invasive Stabilization System–Technique or Technology? North American Traveling Fellowship. University of Rochester. Rochester, NY, October 2001. Cole PA. Less Invasive Stabilization System–Technique or Technology? North American Traveling Fellowship. State University of New York Upstate Medical Center. Syracuse, NY, October 2001. Cole PA. Less Invasive Stabilization System–Technique or Technology? North American Traveling Fellowship. Hospital for Special Surgery. New York, NY, October 2001. Cole PA. Less Invasive Stabilization System–Technique or Technology? North American Traveling Fellowship. Hospital for Joint Disease. New York, NY, October 2001. Cole PA. Less Invasive Stabilization System–Technique or Technology? North American Traveling Fellowship. Johns Hopkins Orthopaedics. Baltimore, MD, November 2001. Cole PA. Operative Considerations for Scapula Fractures: Preview of the First Thirty-Nine-Mississippi Experience. North American Traveling Fellowship. Baltimore Shock Trauma Medical Center. Baltimore, MD, November 2001. Cole PA. Less Invasive Stabilization System–Technique or Technology? North American Traveling Fellowship. Carolinas Medical Center. Charlotte, NC, November 2001. Cole PA. Endosteal Allograft Substitution for the Treatment of Recalcitrant Nonunions. North American Traveling Fellowship. Duke University Medical Center. Durham, NC, November 2001. Cole PA. Less Invasive Stabilization System–Technique or Technology? North American Traveling Fellowship. Emory University Hospitals. Atlanta, GA, November 2001. 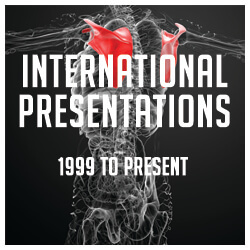 Cole PA. History of the Less Invasive Stabilization System (L.I.S.S.) for Treatment of Distal Femur Fractures. New Techniques of Trauma Management to Enhance Rehabilitation. Orthopaedic Rehabilitation Association Specialty Day Symposium. The American Academy of Orthopaedic Surgeons 68th Annual Meeting. San Francisco, CA, February 2001. Cole PA. Distal Femoral Fractures. AO-ASIF Principles of Fracture Management Course for Residents. Dallas, TX, January 2001. Cole PA. Proximal Tibia LISS – Indications, Symposium on The Less Invasive. Stabilization System. Synthes. Atlanta, GA, January 2001. Cole PA. Cortical Allograft Plating. Unconventional Solutions for Orthopaedic Problems. Special Symposium, The 16th Annual Meeting of the Orthopaedic Trauma Association. San Antonio, TX, October 2000. Cole PA. Panelist: Percutaneous Fixation Methods of Fractures. The 4th Harborview ACE-Alumni Scientific Trauma Symposium. Seattle, WA, July 2000. Cole PA. Panelist: Management of Scapula Fractures. The 4th Harborview ACE-Alumni Scientific Trauma Symposium. Seattle, WA, July 2000. Cole PA. Moderator: Immediate versus Delayed Closure of Wounds in Open Fractures. The 4th Harborview ACE-Alumni Scientific Trauma Symposium. Seattle, WA, July 2000. Cole PA. Debater: ORIF vs. L.I.S.S. for Supracondylar Femur Fractures. The 4th Harborview ACE-Alumni Scientific Trauma Symposium. Seattle, WA, July 2000. Cole PA, Kregor PJ. Review of the UMC-Jackson Tibia LISS Trial. Synthes LISS Study Commission. Charlotte, NC, October 1999. Cole PA. Heterotopic Ossification About the Hip After Trauma: Management Strategies. Annual Meeting of the Mississippi Orthopaedic Society, Philadelphia, MS, April 1999. Cole PA. Diagnosis and Management of the Bluntly Injured Extremity with a Threatened Vascular Supply. Annual Meeting of the Mississippi Orthopaedic Society, Philadelphia, MS, April 1999. Cole PA, Kregor PJ. The Jackson Tibia LISS Experience. Synthes LISS Study Commission. Anaheim, CA, February 1999. Kregor PJ, Cole PA. The Jackson Femur LISS Experience. Synthes LISS Study Commission. Anaheim, CA, February 1999. Cole PA, Routt ML Jr. Acute Resection of Heterotopic Ossification in Patients With Ankylosis After Hip Trauma. Surgery of the Pelvis and Acetabulum: The 4th International Consensus. Birmingham, AL, November 1998. Cole PA, Routt ML Jr. Early Resection of Ectopic Bone in Patients with Hip Ankylosis After Trauma Around the Hip. The 3rd Harborview ACE-Alumnae Scientific Trauma Symposium, University of Washington, Seattle, WA, July 1998. Cole PA, Routt ML Jr. Early Resection of Ectopic Bone in Patients With Hip Ankylosis After Trauma Around the Hip. The Zimmer Orthopaedic Trauma Residents’ and Fellows’ Symposium. Chicago, IL, 1998. Cole PA, Most CM, Most L. Project work: Developing an EMR for surgical mission teams. Regions Hospital Orthopaedic Grand Rounds. Regions Hospital. St. Paul, MN. March 2016. Cole PA. Nonunions: Basic Principles and Management. Orthopaedic Resident Core Curriculum. Regions Hospital. St. Paul, MN. March 2016. Cole PA, Most CM, Most L. Project work: Developing an EMR for surgical mission teams. Orthopaedic Surgery Grand Rounds. University of Minnesota, Minneapolis, MN. February 2016. Cole PA. Nonunions: Basic Principles and Management. Orthopaedic Resident Core Curriculum. Regions Hospital. St. Paul, MN. February 2016. Cole PA. Case of the Month. Regions Hospital Orthopaedic Grand Rounds, Regions Hospital, St. Paul, MN. December 2015. Cole PA. Acetabular Fractures. Orthopaedic Resident Core Curriculum. University of Minnesota. Minneapolis, MN. October 2015. Cole PA. Pelvic Fractures. Orthopaedic Resident Core Curriculum. University of Minnesota. Minneapolis, MN. October 2015. Cole PA. Shoulder Injuries: AC & SC joints, clavicles and scapulas. Regions Hospital Orthopaedic Rounds, Regions Hospital. St. Paul, MN. October 2015. Cole PA. Clavicle Fractures from Simple to Ugly. Regions Hospital Orthopaedic Rounds, Regions Hospital, St. Paul, MN, September 2015. Cole PA. Difficult cases for the Developed World. Pediatric Orthopaedic Trauma Summit, Minnesota History Center, St. Paul, MN September 2015. Cole PA. Fracture Healing: A recapitulation of Growth Plate Physiology. Regions Hospital Orthopaedic Rounds, Regions Hospital. St. Paul, MN. July 2015. Cole PA. Case of the Month. Regions Hospital Orthopaedic Rounds, Regions Hospital, St. Paul, MN, April 2015. Cole PA. Nonunions: Basic Principles and Management. Orthopaedic Resident Core Curriculum. Regions Hospital. St. Paul, MN. February 2015. Cole PA. Nonunions: Basic Principles and management. Orthopaedic Resident Core Curriculum. Regions Hospital. St. Paul, MN, January 2015. Cole PA. Data Driven Impant Designs Avoid Unnecessary Hardware: A Comparative Study for Complex Tibial Pilon Fractures. University of Minnesota Department of Orthopaedics Grand Rounds, Minneapolis, MN, January 2015. Cole PA. Case of the Month. Regions Hospital Orthopaedic Rounds, Regions Hospital, St Paul, MN August 2014. Cole PA. Fracture Healing Recapitulates the Growth Plate Miracle: A Chalk Talk. Regions Hospital Orthopaedic Rounds, Regions Hospital, St Paul, MN July 2014. Cole PA. Nonunions: Basic Principles and management.Orthopaedic Resident Core Curriculum. Regions Hospital. St. Paul, MN, June 2014. Cole PA. Nonunions: Basic Principles and management.Orthopaedic Resident Core Curriculum. Regions Hospital. St. Paul, MN, February 2014. Cole PA. Case of the Month. Regions Hospital Orthopaedic Rounds, Regions Hospital, St Paul, MN February 2014. Cole PA. Pediatric Lawnmower Accidents. Regions Hospital Orthopaedic Rounds, Regions Hospital, St Paul, MN January 2014. Cole PA. Shoulder injuries: AC and SC joints, clavicle, scapula.Orthopaedic Resident Core Curriculum. Regions Hospital. St. Paul, MN, November 2013. Cole PA. Shoulder injuries: AC and SC joints, clavicle, scapula.Orthopaedic Resident Core Curriculum. Regions Hospital. St. Paul, MN, October 2013. Cole PA. Acute management of polytrauma patients. Orthopaedic Resident Core Curriculum. Regions Hospital. St. Paul, MN, October 2013. Cole PA. Birth of a Mission in the Peruvian Amazon: Dream of an AO Surgeon. University of Minnesota Department of Orthopaedics Grand Rounds, Minneapolis, MN September 2013. Cole PA. Shoulder injuries: AC and SC joints, clavicle, scapula. Orthopaedic Resident Core Curriculum. Regions Hospital. St. Paul, MN, September 2013. Cole PA. Fracture Healing Recapitulates the Growth Plate Miracle. Regions Orthopaedic Rounds, Regions Hospital, St. Paul, MN, July 2013. Cole, PA. Nonunions: Basic Principles and management.Orthopaedic Resident Core Curriculum. Regions Hospital. St. Paul, MN, June 2013. Cole PA. Nonunions: Basic Principles and management.Orthopaedic Resident Core Curriculum. Regions Hospital. St. Paul, MN, February 2013. Cole PA. Shoulder injuries: AC and SC joints, clavicle, scapula. Orthopaedic Resident Core Curriculum. Regions Hospital. St. Paul, MN, December 2012. Cole, PA. Shoulder injuries: AC and SC joints, clavicle, scapula. Orthopaedic Resident Core Curriculum. Regions Hospital. St. Paul, MN, October 2012. Cole PA. 15 Years In The Little Engine: A Problem Solving Tour Of An Orthopaedic Trauma Practice, University of Minnesota Department of Orthopaedics Grand Rounds, Minneapolis, MN, September 2012. Cole PA. Case of the Month: Regions Orthopaedic Rounds, Regions Hospital, St. Paul, MN, August 2012. Cole PA. Fracture Healing – A Chalk Talk. Gillette Hospital/Regions Hospital Combined Orthopaedic Rounds, Regions Hospital, St. Paul, MN, July 2012. Cole PA. Nonunions: Basic principles and management. Orthopaedic Resident Core Curriculum. Regions Hospital. St. Paul, MN, May 2012. Cole PA. Pelvic and Acetabular Fractures. Resident Basic Course G2 Orthopaedic Boot Camp. St. Paul, MN, June 2012. Cole PA. Anterior Fixation Options for the Unstable Anterior Pelvis and a Novel New Approach. Resident Core Curriculum, Allegheny General Hospital, Pittsburgh, PA, April 2012. Cole PA. Diagnosis and Treatment of Scapula Fractures Times are Changing Invited Speaker Allegheny General Hospital Grand Rounds, Pittsburgh, PA, April 2012. Cole, PA. Nonunions: Basic Principles and management. Orthopaedic Resident Core Curriculum. Regions Hospital. St. Paul, MN, March 2012. Cole PA. Pelvic Ring Injuries and the Evolving Role for Anterior Ring Fixation, University of Minnesota Department of Orthopaedics Grand Rounds, Minneapolis, MN, December 2011. Cole PA. Shoulder injuries: AC and SC joints, clavicle, scapula. Orthopaedic Resident Core Curriculum. Regions Hospital. St. Paul, MN, December 2011. Cole PA. Shoulder injuries: AC and SC joints, clavicle, scapula. Orthopaedic Resident Core Curriculum. Regions Hospital. St. Paul, MN, September 2011. Cole PA. Case of the Month: Regions Orthopaedic Rounds, Regions Hospital, St. Paul, MN, September 2011. Cole PA. Case of the Month: Regions Orthopaedic Rounds, Regions Hospital, St. Paul, MN, July 2011. Cole PA. Tibia Plateau Fractures, Orthopaedic Rounds, Regions Hospital, St. Paul, MN, July 2011. Cole PA. The Anterior Percutaneous Management of Unstable Pelvic Fractures Using the Pelvic Bridge Regions Orthopaedic Rounds, Regions Hospital, St. Paul, MN, June 2011. Cole PA. Pelvic and Acetabular Fractures. Resident Basic Course G2 Orthopaedic Boot Camp. St. Paul, MN, June 2011. Cole PA. Moderator and Presenter: Principles Course of Fracture Management for Operating Room Professionals. Minneapolis, MN April 2011. Cole PA. Lecture to Medical Students: OSIG ER to OR, University of MN, Minneapolis, MN, March 2011. Cole PA. Case Discussion: Humerus Fracture. Regions Orthopaedic Rounds. Regions Hospital, St. Paul, MN, January 2011. Cole PA. Olecranon Fractures. Regions Orthopaedic Rounds. Regions Hospital. St. Paul, MN, January 2011. Cole PA. Shoulder Injuries: AC and SC Joints, Clavicle, Scapula. Orthopaedic Resident Core Curriculum. Regions Hospital. St. Paul, MN, December 2010. Cole PA. Safe and Simple Splinting Techniques for Fractures Distal to and Including the Elbow and Knee. Emergency Medicine and Trauma Update. Bloomington, MN. October 2010. Cole PA. Tibial Pilon Fractures: Advances in Treatment. University of Minnesota Department of Orthopaedic Surgery Grand Rounds. Minneapolis, MN, October 2010. Cole PA. Case of the Month. Regions Orthopaedic Rounds. Regions Hospital. St. Paul, MN, October 2010. Cole PA. Evolution of a Trauma Fellowship: A Ten Year History. University of Minnesota Department of Orthopaedic Surgery Grand Rounds. Minneapolis, MN, October 2010. Cole PA. Pelvic and Acetabular Fractures. Resident Basic Course G2 Orthopaedic Boot Camp. St. Paul, MN, June 2010. Cole PA. Nonunions: Basic Principles and management. Orthopaedic Resident Core Curriculum. Regions Hospital. St. Paul, MN, June 2010. Cole PA. Shoulder Injuries: AC and SC Joints, Clavicle, Scapula. Orthopaedic Resident Core Curriculum. Regions Hospital. St. Paul, MN, April 2010. Cole PA. Orthopaedic Trauma in Kids: Not just Small Adults. Multidisciplinary Trauma Conference. St. Paul, MN, March 2010. Cole PA. Trauma Projects: Two Scapulas and a Tibia Plateau. University of Minnesota Department of Orthopaedic Surgery Grand Rounds. Minneapoli, MN, March 2010. Cole PA. Orthopaedic Trauma in Kids: Not just Small Adults. Multidisciplinary Trauma Conference. St. Paul, MN, February 2010. Cole PA. Case of the Month. Regions Orthopaedic Rounds. Regions Hospital. St. Paul, MN, January 2010. Cole PA. Orthopaedic Trauma in Kids: Not just Small Adults. Multidisciplinary Trauma Conference. St. Paul, MN, January 2010. Cole PA. Pediatric Orthopedic Trauma: Not Just Small Adults. Emergency Medicine and Trauma Update Conference. St. Paul, MN, November 2009. Cole PA. Orthopaedic Trauma and Radiation Safety. Regions Orthopaedic Rounds. Regions Hospital. St. Paul, MN, November 2009. Cole PA. Panel Discussion: “Mission Funding”. 103rd Interurban Orthopaedic Society Meeting. St. Paul, MN, October 2009. Cole PA. Pediatric Calcaneal Fractures. Orthopaedic Rounds. Regions Hospital. St. Paul, MN, September 2009. Cole PA. Current Management of Tibia Plateau Fractures. Orthopaedic Rounds. Regions Hospital. St. Paul, MN, August 2009. Cole PA. Nonunions: Basic Principles and Management. Orthopaedic Resident Core Curriculum. Regions Hospital. St. Paul, MN, June 2009. Cole PA. Case of the Month. Regions Orthopaedic Rounds. Regions Hospital. St. Paul, MN, May 2009. Cole PA. Case of the Month. Regions Orthopaedic Rounds. Regions Hospital. St. Paul, MN, March 2009. Cole PA. Shoulder Injuries: AC and SC Joints, Clavicle, Scapula. Orthopaedic Resident Core Curriculum. Regions Hospital. St. Paul, MN, March 2009. Cole PA. Talus Fractures. Regions Orthopaedic Rounds. Regions Hospital. St. Paul, MN, January 2009. Cole PA. Shoulder Injuries: AC and SC Joints, Clavicle, Scapula. Orthopaedic Resident Core Curriculum. Regions Hospital. St. Paul, MN, October 2008. Cole PA. Stretching the Boundaries on Conventional Scapula Fracture Diagnosis and Management. University of Minnesota Department of Orthopaedic Surgery Grand Rounds. Minneapolis, MN, September 2008. Cole PA. Management and Treatment of Tibia Pilon Fractures. Regions Orthopaedic Rounds. Regions Hospital. St. Paul, MN, August 2008. Cole PA. Ankle Syndesmosis. Regions Orthopaedic Rounds. Regions Hospital. St. Paul, MN, July 2008. Cole PA. The Balance of an Academic Career with a Christian Calling. Christian Medical and Dental Association. University of Minnesota Medical School Chapter. Minneapolis, MN, April 2008. Cole PA. An Evidence Based Approach to Olecranon Fractures. Regions Orthopaedic Rounds. Regions Hospital. St. Paul, MN, April 2008. Cole PA. Shoulder Injuries: AC and SC Joints, Clavicle, Scapula. Orthopaedic Resident Core Curriculum. Regions Hospital. St. Paul, MN, March 2008. Cole PA. Advanced Principles and Techniques in the Management of Ankle Fractures. TRIA Orthopaedic Grand Rounds. St. Paul, MN, February 2008. Cole PA. Orthopaedic Trauma: Survey of the Last Five Years. University of Minnesota Department of Orthopaedic Surgery Grand Rounds. Minneapolis, MN, December 2007. Cole PA. Distal Humerus Fractures. Regions Orthopaedic Rounds. Regions Hospital. St. Paul, MN, July 2007. Cole PA. Current Management and New Techniques for Proximal Humerus Fractures. Regions Orthopaedic Rounds. Regions Hospital. St. Paul, MN, July 2007. Cole PA. Radiographic Interpretation of the Pelvis for the Novice Resident. Resident Basic Course Orthopaedic Bootcamp. St. Paul, MN, June 2007. Cole PA. Plating and Bone Healing. Regions Orthopaedic Rounds. Regions Hospital. St. Paul, MN, June 2007. Cole PA. Hindfoot and midfoot fractures: Talus, Calcaneus, and Lisfranc. Orthopaedic Resident Core Curriculum. Regions Hospital. St. Paul, MN, May 2007. Cole PA. Ankle Fusion. Regions Orthopaedic Rounds. Regions Hospital. St. Paul, MN, March 2007. Cole PA. Role of the Physician’s Assistant in an Orthopaedic Trauma Hospital. Augsburg College P.A. Program. St. Paul, MN, January 2007. Cole PA. Becoming a Trauma Resource with Global Knowledge of Trauma Procedures. Smith and Nephew Regional Meeting. St. Paul, MN, January 2007. Cole PA. Case of the Month Presentation. Regions Orthopaedic Rounds. Regions Hospital. St. Paul, MN, October 2006. Cole PA. What I wish I could tell every nurse. 14th Annual Regions Hospital Trauma Nursing Conference. St. Paul, MN, September 2006. Cole PA. Pelvic Fractures in Children. Regions Orthopaedic Rounds. Regions Hospital. St. Paul, MN, September 2006. Cole PA. Initial Management of a Proximal Humerus Fx in Your Clinic- Does she need to see Ortho this week? HSC Provider Lunchtime Education. St. Paul, MN, September 2006. Cole PA. Current Management of Calcaneous Fractures. Regions Orthopaedic Rounds. Regions Hospital. St. Paul, MN, August 2006. Cole PA. Locking Plate Decisions and Application. Smith & Nephew Mobilab Orthopaedic Learning Center. St. Paul, MN, June 2006. Cole PA. Midfoot Fractures. University of Minnesota Department of Orthopaedic Surgery Grand Rounds. Minneapolis, MN, April 2006. Cole PA. Case of the Month Presentation. Regions Orthopaedic Rounds. Regions Hospital. St. Paul, MN, March 2006. Cole PA. Role of Plating Pediatric Femur Fractures. Regions Orthopaedic Rounds. Regions Hospital. St. Paul, MN, February 2006. Cole PA. Indications for Locked Plating. Regions Orthopaedic Rounds. Regions Hospital. St. Paul, MN, January 2006. Cole PA. Open Fractures: Emergencies and Urgencies. Emergency Medicine and Trauma Update. Minneapolis, MN, November 2005. Cole PA. Open Fracture Management: Trauma Tactics 2005. LifeLink III Consortium. Red Wing, MN, October 2005. Cole PA. Current Management of Lisfranc and Chopart Injuries. Regions Orthopaedic Rounds. Regions Hospital. St. Paul, MN, April 2005. Cole PA. Emergency Management of a Pelvic Fracture Patient. University of Minnesota Medical Students Lunchtime Lecture Series. Minneapolis, MN, December 2004. Cole PA. Injuries and Techniques I Like Most – Orthopaedic Traumatology. Westgate Surgical Center Staff Conference. St. Paul, MN, November 2004. Cole PA. Beyond the Golden Hour. 12th Annual Regions Hospital Trauma Nursing Conference. St. Paul, MN, September 2004. Cole PA. Diagnosis and Treatment of Pelvic Ring Injuries. Orthopaedic Grand Rounds, University of MN. Minneapolis, MN, August 2004. Cole PA. High Energy Femoral Neck Fractures. Are They all An Emergency? Regions Orthopaedic Rounds. Regions Hospital. St. Paul, MN, August 2004. Cole PA. Evolution of Treatment for Distal Femur Fractures. Regions Orthopaedic Rounds. Regions Hospital. St. Paul, MN, July 2004. Cole PA. Humeral Shaft Fractures. Midway Clinic Primary Care Physicians. January 2004. Cole PA, Zlowodzki, M., Bhandari, M. Internal Fixation of Tibia Pilon Fractures and the Pilon Map. Orthopaedic Grand Rounds, University of MN. Minneapolis, MN, December 2003. Cole PA. Distal Radius Fractures. Midway Clinic Primary Care Physicians. November 2003. Cole PA. Management and Algorithm in the ER for a Patient with a Vascular Injury-Who to Consult. Emergency Medicine Residency Grand Rounds. Guest Moderator. Regions Hospital. St. Paul, MN, September 2003. Cole PA. 2003 North American Traveling Fellowship Minneapolis Site Visit, Local Host and Lecture: NATF A Familiar Perspective, Minneapolis & St. Paul, MN, September 2003. Cole PA. Nursing Considerations in the Management of Pelvic Ring Injuries. 11th Annual Regions Hospital Trauma Nursing Conference. St. Paul, MN, September 2003. Cole PA. The Less Invasive Stabilization System: Are We Better Off? University of Minnesota Department of Orthopaedics Grand Rounds. Minneapolis, MN, August 2003. Cole PA. Update on Diagnosis and Management of Scapula Fractures. University Of Minnesota Department of Orthopaedics Grand Rounds. Minneapolis, MN, August 2003. Cole PA. Management of Calcaneal Fractures. Regions Orthopaedic Conference, Regions Hospital, St. Paul, MN, July 2003. Cole PA. Modern Treatment of Tibia Pilon Fractures. The Zimmer Fracture Forum, Minneapolis, MN, May 2003. Cole PA. When to Get Me Out of Bed. Life Link III’s Critical Case Series, Minneapolis, MN, May 2003. Cole PA. Compartment Syndrome of the Leg and Thigh. Multidisciplinary Trauma Conference, Regions Hospital, St. Paul, MN, March 2003. Cole PA. Talus Fractures. Regions Orthopaedic Conference, Regions Hospital, St. Paul, MN, March 2003. Cole PA. Tibia Pilon Fractures. Regions Orthopaedic Conference, Regions Hospital, St. Paul, MN, March 2003. Cole PA. Endosteal Allograft Plating with Recalcitrant Nonunions. Regions Orthopaedic Conference, Regions Hospital, St. Paul, MN, November 2002. Cole PA. Orthopaedic Trauma for Orthopaedic Trauma Nurses. 10th Annual Trauma Nursing Conference, Regions Hospital, St. Paul, MN, September 2002. Cole PA. The Less Invasive Stabilization System (LISS): Concepts, Indications & Clinical Trials. Regions Orthopaedic Conference. Regions Hospital, St. Paul, MN, July 2002. Cole PA. The Less Invasive Stabilization System for Treatment of Distal Femur & Proximal Tibial Fractures. Mayo Clinic Grand Rounds, Mayo Clinic, Rochester, MN, June 2002. Cole PA. Radiographic Interpretation of Orthopaedic Injuries. Emergency Medicine Resident Lecture, Regions Hospital, St. Paul, MN, May 2002. Cole PA. Orthomergencies. Multidisciplinary Trauma Conference, Regions Hospital, St. Paul, MN, April 2002. Cole PA. Musculoskeletal Trauma, Spinal Cord Injuries Assessment and Management. Advanced Trauma Life Support Course, University of Mississippi Medical Center, Jackson, MS, March 2001. Cole PA. Threatened Arterial Supply to the Extremities: “Keep the Blood Flowing.” Orthopedic Nursing 2000–Back to Basics, University of Mississippi School of Nursing, Jackson, MS, May 2000. Cole PA. PreOp Planning, A Team Approach, Supracondylar Humerus Fractures, Tibial Plateau Fractures. AO/ASIF OR Personnel Course, Jackson, MS, April 2000. Cole PA. Orthomergencies. Emergency Medicine Grand Rounds, University of Mississippi Medical Center, Jackson, MS, March 2000. Cole PA. Orthopaedic Considerations in the Multiply Injured Patient. General Surgery Grand Rounds, University of Mississippi Medical Center, Jackson, MS, February 2000. Cole PA. The Ulna Styloid Controversy, Grand Rounds, Department of Orthopaedics, University of Rochester School of Medicine. Rochester, NY, 1997. Cole PA. The Ulna Styloid Controversy. Grand Rounds, Department of Orthopaedics, Brown University School of Medicine, Providence, RI, June 1995. Cole PA. Rotator Cuff Injuries of the Athlete. 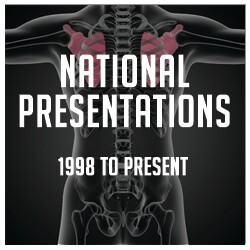 Division of Sports Medicine Lecture Series, Brown University School of Medicine, Providence, RI, March 1995. Cole PA, Ehrlich MG. Management of the Completely Stiff Pediatric Knee. The RI Research Forum, Providence, RI, September 1994. Cole PA. Upper Extremity Peripheral Nerve Injuries. Orthopaedic/Plastic Surgery Hand Lectures, Brown University School of Medicine, Providence, RI, March 1994. Cole PA. Pediatric Knee Ankylosis. Grand Rounds, Department of Orthopaedics, Brown University School of Medicine, Providence, RI, December 1993. Cole PA. Fractures and Dislocations of the Hand. Orthopaedic/Plastic Surgery Hand Lectures, Brown University School of Medicine Providence, RI, October 1992. Marigi E, Money J, Gao R, Abdulai A, Marsical J, Bernstein D, Cole PA. Students Training Orthopaedic Patients to Stop Smoking. 2016 University of Minnesota Medical School Essentials of Clinical Medicine Service Learning Poster Presentation. Poster Presentation. Gilbertson JA, Cole PA. Reconstruction of Complex Acromion Fractures and Nonunions with a locking Mesh Plate. Minnesota Orthopaedic Society Annual Meeting. Minneapolis, MN, May 2016. E-poster Presentation. Schirmers J, Gilberston JA, Schroder LK, Cole PA. Extra-articular Malunions and Nonunions of the Scapula: A Comparison of Functional Outcome Before and After Reconstruction. Minnesota Orthopaedic Society Annual Meeting. Minneapolis, MN, May 2016. E-poster Presentation. Gilbertson JA, Tatro JM, Schroder LK, Cole PA. Midterm Outcomes of Operatively Treated Scapula Fractures. Minnesota Orthopaedic Society Annual Meeting. Minneapolis, MN, May 2016. Podium Presentation. Tatro JM, Gilbertson JA, Schroder LK, Cole PA. Patient Perception of Cosmesis in Operatively Indicated Scapula Fractures. Minnesota Orthopaedic Society Annual Meeting. Minneapolis, MN, May 2016. E-poster Presentation. Tatro JM, Schroder LK, Molitor BA, Parker E, Cole PA. 10 Year Retrospective Review of Scapula Fractures – A National Trauma Data Bank Study. Minnesota Orthopaedic Society Annual Meeting. Minneapolis, MN, May 2016. E-poster Presentation. Lafferty PM, Heisterman T, Rizkala AR, Horazdovsky R, Cole PA. Intraoperative O-Arm Evaluation On The Effect Of Ankle Position On Accuracy Of Syndesmotic Reduction. Mid-America Orthoapedic Association Annual Meeting. Hilton Head, SC. April 2015. Podium Presentation. Lafferty PM, Rizkala AR, Olson JT, Li M, Cole, PA. Short- and Long-Term Results of Complex Hip Fractures Treated with a Proximal Femoral Locking Plate American Academy Orthopaedic Surgeons Annual Meeting. Las Vegas, NV. March 2015 Podium Presentation. Cole PA, Hill BW, Rizkala AR. Fracture Specific Implant Design Avoids Unnecessary Incisions and Hardware for OTA 43C3 Tibia Pilon Fractures. American Academy Orthopaedic Surgeons Annual Meeting. Las Vegas, NV. March 2015 Podium Presentation. Cole PA, Hill BW, Rizkala AR. Data-Driven Implant Design Avoids Unnecessary Hardware: A comparative study for complex Tibial Pilon Fractures. Mid-America Orthopaedic Association Annual Meeting. Hilton Head, SC, April 2015. Podium Presentation. Kelly BJ, Olson JT, Torchia M, Cole PA. Integrating a Student-Run Smoking Cessation Clinic with an Orthopaedic Department at a Level 1 Trauma Center. Mid-America Orthopaedic Association Annual Meeting. Hilton Head, SC, April 2015. Poster Presentation. Olson JT, Kelly BJ, Torchia M, Cole PA. Integrating a Student-Run Smoking Cessation Clinic with an Orthopedic Department at a Level 1 Trauma Center. American Medical Association Research Symposium. Dallas, TX, November 2014. Podium Presentation. Olson J, Kelly B, Torchia M, Cole PA. Integrating a Student-Run Smoking Cessation Clinic with an Orthopedic Department at a Level 1 Trauma Center. American College of Surgeons Medical Student Program. San Francisco, CA, October 2014. Poster Presentation. Cole PA, Torchia M, Kelly B, Olson J. Integrating a Student-Run Smoking Cessation Program with an Orthopaedic Surgery Clinic at a Level 1 Trauma Center: New Opportunities for Smoking Cessation. Twin Cities Resident Council’s Quality Forum. Minneapolis, MN, May 2014. Poster Presentation. Cole PA, Torchia M, Kelly B, Olson J. Integrating a Student-Run Smoking Cessation Program with an Orthopaedic Surgery Clinic at a Level 1 Trauma Center: New Opportunities for Smoking Cessation. CLARION 2014 National Competition. Minneapolis, MN, April 2014. Poster Presentation. Scapula With and Without Deltoid Takedown. American Academy of Orthopaedic Surgeons 2014 Annual Meeting, New Orleans, LA, March 2014. Poster Presentation. Mueller B, Jacobson AR, Nelson ER, Cole PA. Trimalleolar Ankle Fractures; A Comparison of Surgical Techniques for Posterior Malleolus Fixation. American Academy of Orthopaedic Surgeons 2014 Annual Meeting, New Orleans, LA, March 2014. Podium Presentation. Torchia MT, Schroder LK, Hill BW, Cole PA. A Surgical Follow Up Program for Short Term Medical Mission Trips in a Developing Country. American Medical Association Research Symposium. National Harbor, MD. November 2013. Poster Presentation. Hill BW, Torchia MT, Wright D, Switzer JA, Cole PA. A Survey of High Energy Acetabular Fractures in Elderly Patients. Orthopaedic Trauma Association. Phoenix, AZ. October 2013. Poster Presentation. Shafiq B, Buck B, Hiesterman TG, Olson J, Cole PA. Temporary External Fixation for Provisional Reduction of Displaced, OTA 82-C Calcaneus Fractures. Orthopaedic Trauma Association Annual Meeting. Pheonix, Arizona. October 2013.Poster Presentation. Salassa T, Hill BW, Cole PA. Quantitative Comparison of Exposure for the Posterior Judet Approach to the Scapula With and without Deltoid Takedown. Orthopaedic Trauma Association. Phoenix, AZ. October 2013. Poster Presentation. Torchia MT, Schroder LK, Hill BW, Cole PA. A Surgical Follow Up Program for Short Term Medical Mission Trips in a Developing Country. SIGN Fracture Care International Conference. Richland, WA. September 2013. Podium Presentation. Mueller B, Jacobson AR, Rizkala AR, Nelson EN, Cole PA. Trimalleolar Ankle Fractures; A Comparison of Surgical Techniques for Posterior Malleolus Fixation. HealthPartners Celebration of Research. Bloomington, MN. 9/18/2013. Poster Presentation. Mueller B, Jacobson AR, Rizkala AR, Nelson EN, Cole PA. Trimalleolar Ankle Fractures; A Comparison of Surgical Techniques for Posterior Malleolus Fixation. Regions Hospital Research Hghlights. St. Paul, MN. 9/22/2013. Poster Presentation. Barta RJ, Hill BW, Cole PA, Fletcher JW. Operative and Literature Review of the Calcaneal Osteocutaneous Filet Foot Flap. HealthPartners Celebration of Research. Bloomington, MN. 9/18/2013. Poster Presentation. Barta RJ, Hill BW, Cole PA, Fletcher JW. Operative Technique and Literature Review of the Calcaneal Osteocutaneous Filet Foot Flap. Regions Hospital Research Hghlights. St. Paul, MN. 9/22/2013. Poster Presentation. Torchia MT, Schroder LK, Hill BW, Cole PA. A Surgical Follow Up Program for Short Term Medical Mission Trips in a Developing Country. Minnesota Orthopaedic Society Annual Meeting. St. Paul, MN, May 2013. Podium Presentation. Switzer JA, Wright DM, Carson VL, Cole PA. Regions Geriatric Fracture Program (GFP): Mobile Outreach. Minnesota Orthopaedic Society Annual Meeting. St. Paul, MN, May 2013. Podium Presentation. Torchia M, Hill BW, Jacobson AR, Cole PA. Upper Extremity Deep Vein Thrombosis and Scapula Fractures: A Retrospective Analysis after 200 cases. Minnesota Orthopaedic Society Annual Meeting. St. Paul, MN, May 2013. Poster Presentation. Salassa T, Hill BW, Cole PA. Quantification of a Posterior Judet Approach to the Scapula Without Takedown of the Deltoid Muscle: A cadaver study and clinical experience. Minnesota Orthopaedic Society Annual Meeting. St. Paul, MN, May 2013. Podium Presentation. Hill BW, Torchia M, Switzer JA, Cole PA. Geriatric High Energy Acetabular Fractures. Minnesota Orthopaedic Society Annual Meeting. St. Paul, MN, May 2013. Poster Presentation. Gauger EM, Jacobson A, Will R, Cole PA. Progressive Displacement after Clavicle Fracture: Prospective Observational Study. 14th EFORT Congress, Istanbul, Turkey, June 2013. Podium Presentation. Gauger EM, Hill BW, Lafferty PM, Cole PA. Outcomes after Operative Management of Symptomatic Rib Nonunion. 14th European Society for Trauma & Emergency Surgery, Lyon, France, May 2013. Podium Presentation. Shafiq B, Buck B, Hiesterman TG, Olson J, Cole PA. Temporary External Fixation for Provisional Reduction of Displaced, OTA 82-C Calcaneus Fractures. Minnesota Orthopaedic Society2013 Annual Meeting. Minneapolis, MN. April 2013. Podium Presentation. Mulawka B, Jacobson AR, Cole PA. Triple and Quadruple Disruptions of the Superior Shoulder Suspensory Complex. Mid-America Orthopaedic Association Annual Meeting. Amelia Island, FL, April 2013. Podium Presentation. Cole PA, Jones CB, Jacobson AR, Gilde A, Westberg JR, Schmidt A. Does Anteroinferior Fixation of Midshaft Clavicle Fractures have a Lower Rate of Hardware Removal and Complications? A Multicenter Retrospective Study. Mid-America Orthopaedic Association 31st Annual Meeting. Amelia Island, FL, April 2013. Podium Presentation. Gauger EM, Hill BW, Cole PA. Outcomes after operative management of symptomatic rib nonunion. Mid-America Orthopaedic Association 31st Annual Meeting. Amelia Island, FL, April 2013. Podium Presentation. Hill BW, Lafferty PM, Ly TV, Cole PA. Data Driven Implant Design for the OTA/AO type 43C3 Pilon Fracture. Mid-America Orthopaedic Association 31st Annual Meeting. Amelia Island, FL, April 2013. Podium Presentation. Cole PA, Jones CB, Jacobson AR, Gilde A, Westberg JR, Schmidt A. Does Anteroinferior Fixation of Midshaft Clavicle Fractures have a Lower Rate of Hardware Removal and Complications? A Multicenter Retrospective Study. American Academy of Orthopaedic Surgeons 2013 Annual Meeting, Chicago, IL, March 2013. Poster Presentation. Gauger EM, Jacobson AR, Will RE, Cole PA. Progressive Displacement after Clavicle Fracture: Prospective Observational Study.American Academy of Orthopaedic Surgeons 2013 Annual Meeting, Chicago, IL, March 2013. Poster Presentation. Guager EM, Hill BW, Cole PA. Outcomes after operative management of symptomatic rib nonunion. American Academy of Orthopaedic Surgeons 2013 Annual Meeting, Chicago, IL, March 2013. Poster Presentation. Hill BW, Lafferty PM, Ly TV, Cole PA. Data Driven Implant Design for the OTA/AO type 43C3 Pilon Fracture. American Academy of Orthopaedic Surgeons 2013 Annual Meeting, Chicago, IL, March 2013. Podium Presentation. Cole PA, Jones CB, Jacobson AR, Gilde A, Westberg JR, Schmidt AH. Does Anteroinferior Fixation of Midshaft Clavicle Fractures have a Lower Rate of Hardware Removal and Complications? A Multicenter Retrospective Study. 28th Orthopaedic Trauma Association Annual Meeting, Minneapolis, MN, October 2012. Poster Presentation. Gauger EM, Jacobson AR, Will RE, Cole PA. Progressive Displacement After Clavicle Fracture; An Observational Study. 28th Orthopaedic Trauma Association Annual Meeting, Minneapolis, MN, October 2012. Podium Presentation. Cole PA, Mulawka B, Jacobson AR. Triple and Quadruple Disruptions of the Superior Shoulder Suspensory Complex. 28th Orthopaedic Trauma Association Annual Meeting, Minneapolis, MN, October 2012. Poster Presentation. Hill BW, Torchia M, Switzer JA, Cole PA. High Energy Acetabular Fractures in Elderly Patients: Are We Prepared? International Geriatric Fracture Society 2012 Fall Meeting. La Jolla, CA, October 2012. Podium Presentation. Gauger EM, Cole PA. Surgical and Functional Outcomes after Operative Management of Extra-articular Glenoid Neck and Scapula Body Fractures. Mid-America Orthopaedic Association 30th Annual Meeting. Bonita Springs, FL, April 2012. Podium Presentation. Gauger EM, Jacobson AR, Will RE, Cole PA. Progressive Displacement After Clavicle Fracture; An Observational Study. Mid-America Orthopaedic Association 30th Annual Meeting. Bonita Springs, FL, April 2012. Podium Presentation. Cole PA, Jones CB, Jacobson AR, Gilde A, Westberg JR, Schmidt AH. Does anteroinferior fixation of midshaft clavicle fractures have a lower rate of hardware removal and complications?A multicenter retrospective study. Minnesota Orthopaedic Society Annual Meeting. Minneapolis, MN, May 2012. Podium Presentation. Bjerke B, Slinkard N, Bechtold JE, Cole PA, Ly TV. Evaluating the induced membrane around plate fixation for osteoinductive properties. Minnesota Orthopaedic Society Annual Meeting. Minneapolis, MN, May 2012. Podium Presentation. Nordin D, Li M, Huang H, Cole PA. Higher incidence of multidirectional instability in pediatric supracondylar fractures at a Level I pediatric trauma center. Minnesota Orthopaedic Society Annual Meeting. Minneapolis, MN, May 2012. Podium Presentation. Gauger EM, Jacobson AR, Will RE, Cole PA. Progressive Displacement After Clavicle Fracture; An Observational Study. Minnesota Orthopaedic Society 2012 Annual Meeting. St. Paul, MN, April 2012. Podium Presentation. Gauger EM, Hill BW, Cole PA. Outcomes after operative management of symptomatic rib nonunion. Minnesota Orthopaedic Society 2012 Annual Meeting. St. Paul, MN, April 2012. Podium Presentation. Mulawka B, Jacobson AR, Cole PA. Triple and Quadruple Disruptions of the Superior Shoulder Suspensory Complex. Minnesota Orthopaedic Society 2012 Annual Meeting. St. Paul, MN, April 2012. Podium Presentation. Li M, Cole PA. Safe and Reliable Greater Trochanteric Osteotomy in Surgical Hip Dislocation for Moderate to Severe Slipped Capital Femoral Epiphysis. AO North America 2012 Challenges in Fracture Care Across Disciplines, Lake Buena Vista, FL, February 2012. Poster Presentation. Gauger EM, Jacobson AR, Will RE, Cole PA. Progressive Displacement After Clavicle Fracture; An Observational Study. AO North America 2012 Challenges in Fracture Care Across Disciplines, Lake Buena Vista, FL, February 2012. Podium Presentation. Gauger EM, Cole PA. Functional Outcomes after Operative Management of Extra-articular Scapula Neck and Body Fractures. AO North America 2012 Challenges in Fracture Care Across Disciplines, Lake Buena Vista, FL, February 2012. Podium Presentation. Will RE, Olson JT, Cole PA. Equivalent Maintenance of Alignment Throughout Healing of 41C3 Tibia Plateau Fractures Using Polyaxial Locked Plate Fixation Versus Fixed Angle Locked Plate Fixation. American Academy of Orthopaedic Surgeons 2012 Annual Meeting, San Franscisco, CA, February 2012. Poster Presentation. Gauger EM, Cole PA; Functional Outcomes after Operative Management of Extra-articular Scapula Neck and Body Fractures. American Academy of Orthopaedic Surgeons 2012 Annual Meeting, San Franscisco, CA, February 2012. Podium Presentation. Peters AC, Ellermann J, Moeller S, Lafferty PM, Cole PA. Magnetic Resonance Imaging in the Presence of Metallic Artifact as a Function of Distance to the Articular Surface. American Academy of Orthopaedic Surgeons 2012 Annual Meeting, San Franscisco, CA, February 2012. Podium Presentation. Gauger EM, Hill BW, Cole PA. Functional Outcomes after Operative Management of Extra-articular Scapula Neck and Body Fractures. HealthPartners Research Foundation Celebration of Research. Bloomington, Minnesota, September 2011. Poster Presentation. Zlowodzki M, Armitage BM, Wijdicks CA, Cole PA. The value of washers in internal fixation of femoral neck fractures with cannulated screws: A biomechanical evaluation. 12th EFORT Congress. Copenhagen, Denmark, June 2011. Podium Presentation. Zlowodzki M, Armitage BM, Wijdicks CA, Kregor PJ, Levy BA, Cole PA. Titanium locking plates are superior to stainless steel locking plates in the treatment of osteoporotic distal femur fractures: A biomechanical study in a fresh-frozen human cadaver model. 12th EFORT Congress. Copenhagen, Denmark, June 2011. Podium Presentation. Mueller B, Zlowodzki M, Armitage BM, Wijdicks CA, Cole PA. The Value of Washers in Internal fixation of Femoral Neck Fractures with Cancellous Screws: A Biomechanical Evaluation. Mid-America Orthopaedic Association, Tucson, AZ, April 2011. Podium Presentation. Zlowodzki M, Armitage BM, Wijdicks CA, Cole PA. The value of washers in internal fixation of femoral neck fractures with cannulated screws: A biomechanical evaluation. AAOS Annual Meeting, San Diego, CA, February 2011. Podium Presentation. Sems A, Johnson M, Cole PA, Byrd CT, Templeman DC. Elevated BMI Increases Early Complications of Surgical Treatment of Pelvic Ring Injuries. AO North America 2010 Challenges in Fracture Care Across Disciplines. Phoenix, AZ, November 2010. Podium Presentation. Will RE, Fleming ME, Lafferty PM, Fletcher JW, Cole PA. Low Complication Rate Associated with Raising Mature Flap for Tibial Nonunion Reconstruction. AO North America 2010 Challenges in Fracture Care Across Disciplines. Phoenix, AZ, November 2010. Podium Presentation. Gauger EM, Schroder LK, Cole PA. Minimally Invasive Osteosynthesis of the Scapula: Surgical technique and short term follow up. AO North America 2010 Challenges in Fracture Care Across Disciplines. Phoenix, AZ, November 2010. Podium Presentation. Gauger EM, Schroder LK, Cole PA. Surgical and Functional Outcomes after Operative Management of Extra-articular Glenoid Neck and Scapula Body Fractures. AO North America 2010 Challenges in Fracture Care Across Disciplines. Phoenix, AZ, November 2010. Poster Presentation. 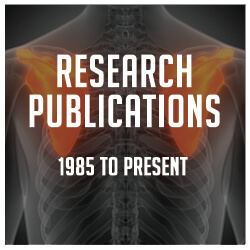 Gauger EM, Talbot M, Schroder LK, Anavian J, Cole PA. Extra-articular Malunions of the Scapula: A Comparison of Functional Outcome Before and After Reconstruction. AO North America 2010 Challenges in Fracture Care Across Disciplines. Phoenix, AZ, November 2010. Poster Presentation. Gauger EM, Heddings A, Anavian J, Ly TV, Morgan RA, Cole PA. A Clinical Comparison between Anterior Pelvic External Fixation and Subcutaneous Locked Pelvic Spanning Internal Fixation for Pelvic Ring Injuries. AO North America 2010 Challenges in Fracture Care Across Disciplines. Phoenix, AZ, November 2010. Podium Presentation. Zlowodzki M, Armitage BM, Wijdicks CA, Cole PA. The value of washers in internal fixation of femoral neck fractures with cannulated screws: A biomechanical evaluation. 26th Orthopaedic Trauma Association Annual Meeting, Baltimore, MD, October 2010. Poster Presentation. Gauger EM, Schroder LK, Cole PA. Surgical and Functional Outcomes after Operative Management of Extra-articular Glenoid Neck and Scapula Body Fractures. 26th Orthopaedic Trauma Association Annual Meeting, Baltimore, MD, October 2010. Podium Presentation. Cole PA, Schroder LK, Gauger EM. Surgical and Functional Outcomes after Operative Management of Extra-articular Glenoid Neck and Scapula Body Fractures. International Shoulder Group 2010 Annual Meeting. Minneapolis, Minnesota. July 2010. Poster Presentation. Gauger EM, Wijdicks CA, Schroder LK, Ludewig PM, Cole PA. Improved Outcome after Reconstruction of Ipsilateral Scapula Malunion and Clavicle Nonunion Demonstrated by Functional Outcome and Novel Kinematic Technique. International Shoulder Group 2010 Annual Meeting. Minneapolis, Minnesota. July 2010. Podium Presentation. Cole PA, Talbot M, Schroder LK, Anavian J. Extra-articular Malunions of the Scapula: A comparison of Functional Outcome Before and After Reconstruction. International Shoulder Group 2010 Annual Meeting. Minneapolis, Minnesota. July 2010. Podium Presentation. Cole PA, Schroder LK, Gauger EM. Surgical and Functional Outcomes after Operative Management of Extra-Articular Glenoid Neck and Scapula Body Fractures. Minnesota Orthopaedic Society 2010 Annual Meeting. Minneapolis, MN. May 2010. Podium presentation. Gauger EM, Wijdicks CA, Schroder LK, Ludewig PM, Cole PA. Improved Outcome after Reconstruction of Ipsilateral Scapula Malunion and Clavicle Nonunion Demonstrated by Functional Outcome and Novel Kinematic Technique. Minnesota Orthopaedic Society 2010 Annual Meeting. Minneapolis, MN. May 2010. Poster Presentation. Wijdicks CA, Anavian J, Armitage BM, Vang S, Schroder LK, Cole PA. Defining the Anteroposterior and Transcapular-Y Radiograph for the Scapula. Minnesota Orthopaedic Society 2010 Annual Meeting. Minneapolis, MN. May 2010. Poster Presentation. Anavian J, Cole PA. A Comparison of Functional Outcome Before and After Reconstruction of Extra-articular Malunions of the Scapula. American Academy of Orthopaedic Surgeons 2010 Annual Meeting. New Orleans, LA. March 2010. Podium Presentation. Anavian J, Conflitti JM, Khanna G, Guthrie ST, Asche SE, Schroder LK, Cole PA. Reliability of Radiologic Measurement Techniques for Displacement in Scapula Fractures. American Academy of Orthopaedic Surgeons 2010 Annual Meeting. New Orleans, LA. March 2010. Podium Presentation. Anavian J, Wijdicks CA, Schroder LK, Cole PA. Outcomes after Operative Management of Displaced Intra-articular Glenoid Fractures. American Academy of Orthopaedic Surgeons 2010 Annual Meeting. New Orleans, LA. March 2010. Podium Presentation. Cross WW, III, Levy BA, Armitage BM, Cole PA. Periarticular Raft Constructs and Fracture Stability in Split-Depression Tibial Plateau Fractures. American Academy of Orthopaedic Surgeons 2010 Annual Meeting. New Orleans, LA. March 2010. Podium Presentation. Cross WW III, Levy BA, Armitage BM, Cole PA. Raft Constructs and Fracture Stability in Split-Depression Tibial Plateau Fractures. 25th Orthopaedic Trauma Association Annual Meeting, San Diego, CA, October, 2009. Poster Presentation. Anavian J, Cole PA. A Comparison of Functional Outcome Before and After Reconstruction of Extra-articular Malunions of the Scapula. 25th Orthopaedic Trauma Association Annual Meeting, San Diego, CA, October, 2009. Poster Presentation. Anavian J, Wijdicks CA, Schroder LK, Cole PA. Surgical and Functional Outcomes after Operative Management of Displaced Intra-articular Glenoid Fractures. 25th Orthopaedic Trauma Association Annual Meeting, San Diego, CA, October, 2009. Podium Presentation. Heddings AA, Anavian J, Ly TV, Morgan RA, Cole PA. A Clinical Comparison between Anterior Pelvic External Fixation and Subcutaneous Locked Pelvic Spanning Internal Fixation for Pelvic Ring Injuries. 25th Orthopaedic Trauma Association Annual Meeting, San Diego, CA, October, 2009. Podium Presentation. Khanna G, Anavian J, Conflitti JM, Guthrie ST, Asche SE, Schroder LK, Cole PA. Displacement in Scapula Fractures: Reliability of Radiologic Measurements Using a Standardized Technique for Radiographs and 3D Computed Tomography. Minnesota Orthopaedic Society Annual Meeting, Minneapolis, MN, May 2009. Podium Presentation. Heddings AA, Anavian J, Ly TV, Morgan RA, Cole PA. A Clinical Comparison between Anterior Pelvic External Fixator and Subcutaneous Locked Pelvic Spanning Internal Fixation for Pelvic Ring Injuries. Minnesota Orthopaedic Society Annual Meeting. Minneapolis, MN. May 2009. Podium Presenation. Armitage BM, Wijdicks CA, Tarkin IS, Marek DJ, Zlowodzki M, Cole PA. Fracture Mapping of the Scapula: 3D-CT to Establish Location and Frequency of Fracture Patterns. American Academy of Orthopaedic Surgeons, 2009 Annual Meeting. Las Vegas, NV. March 2009, Poster Presentation. Plocher E, Anavian J, Vang S, Cole PA. Progressive Displacement in Clavicle Fractures. Orthopaedic Research Society 2009 Annual Meeting. Las Vegas, NV. February 2009. Poster Presentation. Wijdicks CA, Armitage BM Anavian J, Schroder LK Cole PA. Morphometric Analysis of Vulnerable Neurovasculature (“Danger-Zones”) With a Posterior Approach to the Scapula. Orthopaedic Research Society 2009 Annual Meeting. Las Vegas, NV. February 2009. Poster Presentation. Anavian J, Khanna G, Plocher EK, Wijdicks CA, Cole PA. Progressive Displacement of Scapula Fractures. Orthopaedic Research Society 2009 Annual Meeting. Las Vegas, NV. February 2009. Poster Presentation. Wijdicks CA, Armitage BM, Anavian J, Schroder LK, Cole PA. Morphometric Analysis of Danger-Zones for the Posterior Approach to the Scapula. 24th Orthopaedic Trauma Association Annual Meeting. Denver, Colorado. October 2008. Poster Presentation. Plocher E, Anavian J, Vang S, Cole PA. Progressive Displacement in Clavicle Fractures. Minnesota Orthopaedic Society 2008 Annual Meeting. Minneapolis, Minnesota. May 2008. Podium Presentation. Armitage BM, Zlowodzki M, Cole PA. Biomechanical Comparison of the LISS Plate and Locking Condylar Buttress Plate in Osteoporotic Bone. Minnesota Orthopaedic Society 2008 Annual Meeting. Minneapolis, Minnesota. May 2008. Podium Presentation. Levy BA, Herrera DA, MacDonald P, Cole PA. The Medial Approach for Arthroscopic Assisted Fixation of the Lateral Tibial Plateau Fractures: Patient Selection and Mid to Long Term Results. Minnesota Orthopaedic Society 2008 Annual Meeting. Minneapolis, MN, May 2008. Podium Presentation. Anavian J, Herrera DA, Tarkin IS, Armitage BM, Cole PA. Delayed Operative Management of Scapula Fractures. Minnesota Orthopaedic Society 2008 Annual Meeting. Minneapolis, Minnesota. May 2008. Podium Presentation. Wijdicks CA, Armitage BM, Anavian J, Cole PA. Morphonmetric Analysis of “Danger Zones” with a Posterior Approach to the Scapula. Minnesota Orthopaedic Society 2008 Annual Meeting. May 2008. Minneapolis, Minnesota. Podium Presentation. Armitage BM, Wijdicks CA, Tarkin IS, Marek DJ, Herrera DA, Cole PA. Fracture Mapping of the Scapula Using 3D Computed Tomography Images: A Quantitative Analysis to Establish Location and Frequency of Fracture Patterns. Minnesota Orthopaedic Society 2008 Annual Meeting. May 2008. Minneapolis, Minnesota. Podium Presentation. Anavian J, Plocher EK Khanna G, Cole PA. Progressive Displacement of Scapula Fractures Minnesota Orthopaedic Society 2008 Annual Meeting. Minneapolis, Minnesota. May 2008. Podium Presentation. Armitage B, Tarkin I, Herrera D, Cole PA. The Scapula Fracture Map – An Analysis of Fracture Patterns in 102 Scapulas using 3D CT. 23rd Orthopaedic Trauma Association Annual Meeting. Boston Massachusetts.October 2007. Poster Presentation. Tarkin I, Herrera D, Armitage B, Levy B, Cole PA. Scapula Fracture Patterns Predictive of Suprascapular Nerve Injury. 23rd Orthopaedic Trauma Association Annual Meeting, Boston MA, October 2007. Poster Presentation. Sems SA, Templeman DC, Johnson MR, Cole PA, Minnesota Orthopaedic Trauma Group. Elevated BMI Increases Complications of Surgical Treatment of Pelvic Ring Injuries.23rd Orthopaedic Trauma Association Annual Meeting, Boston MA, October 2007. Podium Presentation. Heisler J, Swords M, Cole PA. Pre-contoured Locking distal Tibia Plates: An anatomic CT analysis. AOFAS 23rd Annual Summer Meeting. Toronto, Canada. July, 2007. Poster Presentation. Schemitsch EH, Cole PA, Zdero R, Talbot M, Garneau D. Canadian Orthopaedic Association – 62nd Annual Meeting Fixation of Long Bone Segmental Defects: a Biomechanical Study Halifax, Nova Scotia. June 2007. Poster Presentation. Herrera DA, Tarkin I, Armitage B, Cole PA. Delayed Operative Management of Scapula Fractures. American Academy of Orthopaedic Surgeons Annual Meeting. San Diego, CA. February 2007. Poster Presentation. Cole PA. Early Surgical Results of 73 Glenoid Neck/Scapula Body Fractures. Orthopaedic Trauma Association 22nd Annual Meeting. Phoenix, AZ. October 2006. Podium Presentation. Levy BA, Sems SA, Herrera DA, Cole PA, Templeman DC. Incidence of DVT in joint spanning external fixation of fractures of the lower extremity. A multi-center clinical trial. Orthopaedic Trauma Association Meeting. October 2006. Poster Presentation. Tarkin I, Herrera DA, Armitage B, Levy BA, Cole PA. Scapula Fracture Patterns predictive of Suprascapular nerve injury. HealthPartners Celebration of Research Day. September 2006. Poster Presentation. Cole PA, Tarkin IS, Herrera DA, Armitage B. Osteosynthesis of glenoid neck and body fractures. HealthPartners Celebration of Research Day. September 2006. Poster Presentation. Levy BA, Sems SA, Herrera DA, Cole PA, Templeman DC. Incidence of DVT in joint spanning external fixation of fractures of the lower extremity. A multi-center clinical trial. HealthPartners Celebration of Research Day. September 2006. Poster Presentation. Signorelli JJ, Brown G, Wentorf FA, Zlowodzki M, Cole PA. Mechanical Evaluation of Tension Band Orientation. Combined Annual Meetings of the International Society for Biomechanics and American Society of Biomechanics, Cleveland, Ohio, July 2005. Podium Presentation. Talbot M, Levy B, Cole PA. The Popliteal Approach to the Tibial Plateau. The 21st Annual Meeting of the Minnesota Orthopaedic Society. Minneapolis, MN, May 2005. Bhandari M, Weening BS, Cole PA, Hanson B. Lower Mortality in Patients with Scapular Fractures. 72nd Annual Meeting of the American Academy of Orthopaedic Surgeons, Washington, DC, February 2005. Podium Presentation. Cole PA, Mehrle K, Zlowodzki M. The Pilon Map – Assessment of Fractures Lines and Comminution Zones in AO C3-Type Pilon Fractures. Transactions of the Annual Meeting of the Orthopaedic Trauma Association, Hollywood, FL, October, 2004. Poster Presentation. Cole PA, Mehrle K, Zlowodzki MP. The Pilon Map. 117th Annual Meeting of the American Orthopaedic Association, Boston, MA, June, 2004. Podium Presentation. Zlowodzki M, Cole PA, Kregor, PJ. Versorgung von Akuten Distalen Femurfrakturen mi dem LIS-System(LISS) Bei Liegender Knieendoprothese. (Treatment of Acute Peroprosthetic Distal Femur Fractures with the LISS.) 67th Annual Meeting of the German Trauma Surgery Association (DGU), Berlin, Germany, November 2003. Podium Presentation. Zlowodzki M, Vogt D, Cole PA, Kregor PJ. Open reduction and internal fixation versus submuscular plating of Femoral shaft fractures. European Federation of National Associations of Orthopaedics and Traumatology (EFORT), Helsinki, Finland, June 2003. Podium Presentation. Zlowodzki M, Vogt D, Cole PA, Kregor, PJ. Plating of Femoral Shaft Fractures – Traditional ORIF versus Sub- muscular Fixation. XXXVIII Congress of the European Society for Surgical Research, Ghent, Belgium, May 2003. Podium Presentation. Zlowodzki M, Cole PA, Christensen R, Nemecek D, Gilbert S, Kregor PJ. Neurovascular Risk associated with Submuscular Fixation of the Proximal Tibia: A Cadaveric Study. XXXVIII Congress of the European Society for Surgical Research, Ghent, Belgium, May 2003. Podium Presentation. Cole PA, Stewart G. Allograft plating in the treatment of recalcitrant non-unions. 18th Annual Meeting of the Orthopaedic Trauma Association, Toronto, Ontario, October, 2002. Zlowodzki M, Vogt D, Cole PA, Kregor PJ. Plating of femur shaft fractures: ORIF vs submuscular plating. 18th Annual Meeting of the Orthopaedic Trauma Association, Toronto, Ontario, October 2002. Kregor PJ, Christensen R, Nemecek D, Gilbert S, Cole PA, Zlowodzki M. Plate Fixation of the Proximal Tibia: Distance of Implant to Neurovascular Structures. 7th Annual SHRP Research Day, Jackson, MS, May 2002. Zlowodzki M, Vogt D, Cole PA, Kregor PJ. Plating of Femoral Shaft Fractures: ORIF versus Submuscular Fixation. Mississippi Orthopaedic Society, Natchez, MS, April 2002. Kregor PJ, Cole PA, Nemecek D, Gilbert S, Little D, Christensen R. Neurovascular risk associated with submuscular fixation of the proximal tibia: a cadaveric study. Mississippi Orthopaedic Society, Natchez, MS, April 2002. Kregor PJ, Cole PA, Nemecek D, Gilbert S, Little D, Christensen R. Neurovascular risk associated with submuscular fixation of the proximal tibia: a cadaveric study. 69th Annual Meeting of the American Academy of Orthopaedic Surgeons, Dallas, Texas, February 2002. Cole PA. History of the less invasive stabilization system (L.I.S.S.) for treatment of distal femur fractures. New techniques of trauma management to enhance rehabilitation. Annual Meeting of the American Academy of Orthopaedic Surgeons, San Francisco, CA, February 2001. Cole PA, Kregor PJ. Prospective clinical trial of use of the less invasive stabilization system (L.I.S.S.) for proximal tibia fractures. 68th Annual Meeting of the American Academy of Orthopaedic Surgeons, San Francisco, CA, February 2001. Cole PA, Kregor PJ. Prospective clinical trial of use of the Less Invasive Stabilization System (L.I.S.S.) for proximal tibia fractures. 16th Annual Meeting of the Orthopaedic Trauma Association, San Antonio, TX, October 2000. Kregor PJ, Cole PA, Hughes JL. Fixation of distal femoral fractures above total knee arthroplasty utilizing the Less Invasive Surgical Stabilization System (L.I.S.S.) 16th Annual Meeting of the Orthopaedic Trauma Association, San Antonio, TX, October 2000. Haley TM, Cole PA, Kitchens AM, Tarquinio TA. A Retrospective Review of Treatment and Outcome of Ankle Fractures in Diabetes. Annual Meeting of the Mississippi Orthopaedic Society, Jackson, MS, April 2000. Kregor PJ, Stannard JP, Cole PA, Zlowodzki M, Alonzo JA. Prospective clinical trial of the Less Invasive Stabilization System (LISS) For supracondylar femur fractures. Controversies with Fracture Management and Orthopaedic Emergencies. 67th Annual American Academy of Orthopaedic Surgeons – Orthopaedic Trauma Association Specialty Day. Orlando, FL, March 2000. Kregor PJ, Stannard JP, Cole PA, Zlowodzki M, Alonzo JA. Prospective clinical trial of the Less Invasive Stabilization System (LISS) For supracondylar femur fractures. American Academy of Orthopaedic Surgeons 67th Annual Meeting. Orlando, FL, March 2000. Kregor PJ, Stannard JP, Alonso JA, Cole PA, Zlowodski M. Prospective clinical trial of the less invasive stabilization system (LISS) for supracondylar femur fractures. 15th Annual Meeting of the Orthopaedic Trauma Association, Charlotte, NC, October 1999. Cole PA, Routt ML Jr. Early resection of ectopic bone in patients with hip ankylosis after trauma. 15th Annual Meeting of the Orthopaedic Trauma Association, Charlotte, NC, October 1999. Kregor PJ, Stannard JP, Cole PA, Zlowodzki M, Alonzo JA. Supracondylar Femur Fractures: Less Invasive Stabilization System (LISS). Mississippi Orthopaedic Society Annual Meeting. Philadelphia, MS, April 1999. Cole PA, Campbell R, Johansen K, Swiontkowski M. Doppler arterial pressure measurements reliably exclude occult arterial injury in blunt lower extremity trauma. 66th American Academy of Orthopaedic Surgeons Annual Meeting, Anaheim, CA, March 1999. Cole PA, Campbell R, Johansen K, Swiontkowski M. Doppler arterial pressure measurements reliably exclude occult arterial injury in blunt lower extremity trauma. Annual Meeting of the Orthopaedic Trauma Association, Vancouver, British Columbia, October 1998. Garr J, Cole PA, Mock C, Matsen FA III, Gentilello LM. Monitoring for compartmental syndrome using near infrared spectroscopy. A noninvasive, continuous, transcutaneous monitoring technique. 84th Clinical Congress of the American College of Surgeons, Orlando, FL, 1998. Voss LA, Cole PA, Weiss APC, Akelman EA. Clinical and radiographic results in distal radius fractures. 65th Annual Meeting of the American Academy of Orthopaedic Surgeons, New Orleans, LA, March 1998. Cole PA, Voss LA, Weiss APC, Akelman EA. The association of radiographic indices and outcome for intracarpal lesions in distal radius and ulna fractures. 65th Annual Meeting of the American Academy of Orthopaedic Surgeons, New Orleans, LA, March 1998. Cole PA, Voss LA, Weiss APC, Akelman EA. A Prospective Study of Radiographic and Clinical Outcome Following Ulna Styloid Fractures. 64th Annual Meeting of the American Academy of Orthopaedic Surgeons. San Francisco, CA, March 1997. Cole PA, Blanks RH, Weiss APC. A Rat Femur Nonunion Model Using An Intramedullary Infusion Catheter. 63rd Annual Meeting of the American Academy of Orthopaedic Surgeons. Atlanta, GA, March 1996. Cole PA, Voss LA, Weiss APC, Akelman E. A Prospective Study of Ulna Styloid Fractures. American College Of Resident Trauma Papers Competition-1995 New England Runoff. Boston, MA. October 1995. Cole PA, Voss LA, Weiss APC, Akelman EA. Prospective Study of Radiographic and Clinical Outcome Following Ulna Styloid Fractures in Eighty Consecutive Patients. The 11th Annual Meeting of the Orthopaedic Trauma Association. Tampa, FL, October 1995. Cole PA, Ehrlich MG. Three Chance Fracture Variants in One Motor Vehicle Accident, A Unique Case Report and Review of the Literature. 62nd Annual Meeting of the American Academy of Orthopaedic Surgeons. Orlando, FL, March 1995. Cole PA, Ehrlich MG. Management of the completely stiff pediatric knee. 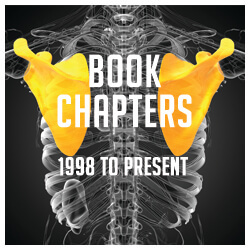 1993 Annual Meeting of the Eastern Orthopaedic Association. Philadelphia, PA, June 1993. Cole PA, M.G. Ehrlich. Management of the Completely Stiff Pediatric Knee. 59th Annual Meeting of the American Academy of Orthopaedic Surgeons. Orlando, FL, March 1992.